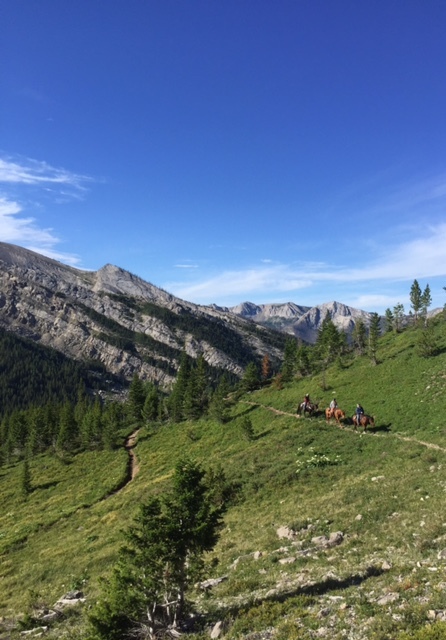 I’m just going to say it: spending a week in the backcountry of Montana’s Bob Marshall Wilderness was a memory I’m never going to forget. But before I get too sappy, let’s pick up where we left off from parts one and two of this trip. 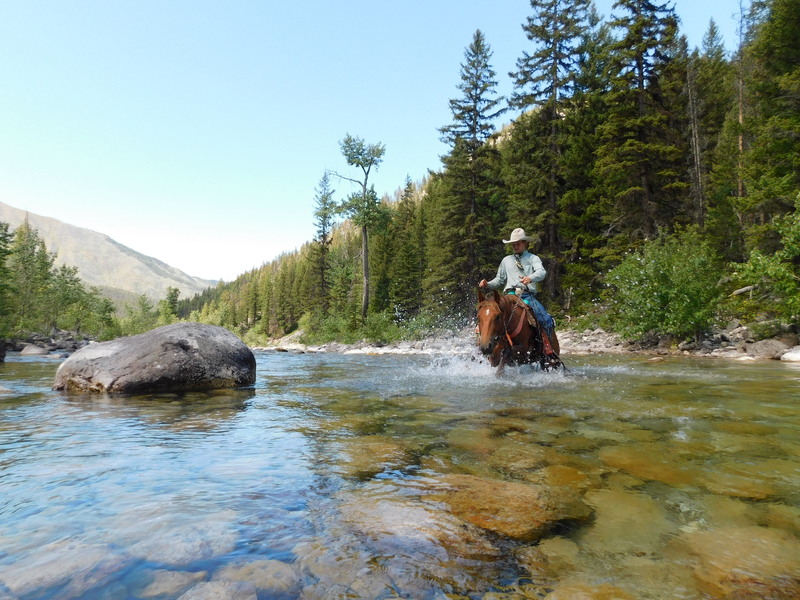 Day six was our last official day in camp and while most of the group opted to do a horseback trail ride to the Flathead River, I decided to stay at camp and go fishing with Bill—another guest on the trip. 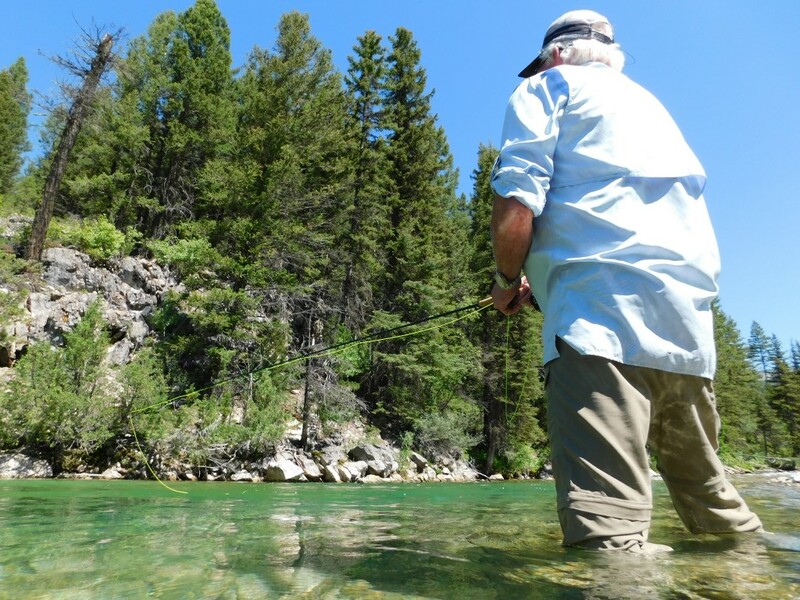 And while we had a great time fishing the purest water I’ve ever seen, it was the experience of fishing at this particular place that made it such a wonderful day. 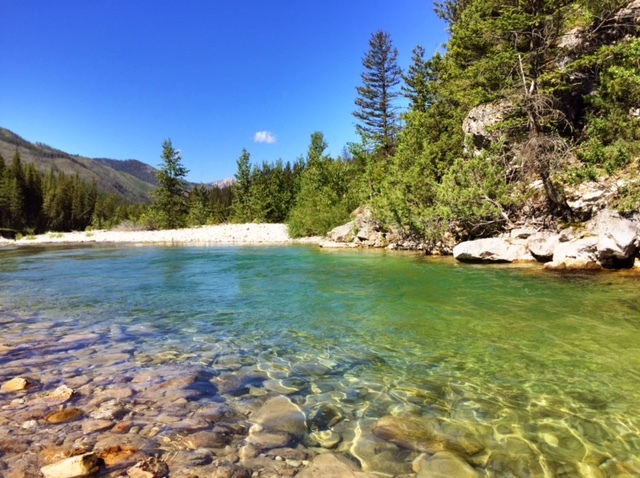 Our fishing hole on White River. 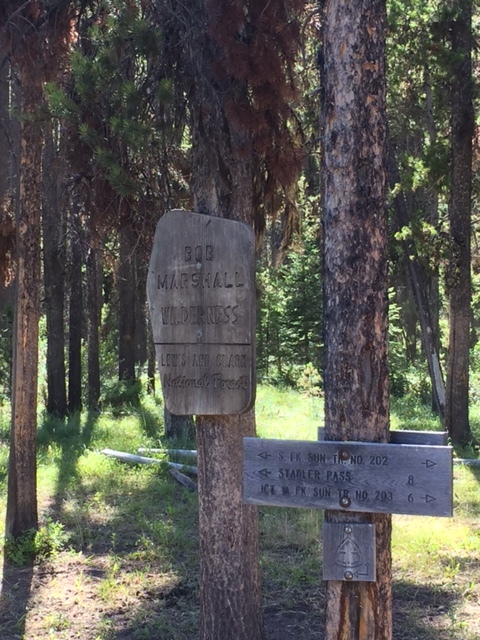 You see, my mama and my grandpa (as well as my grandma and aunts and uncles) used to come into the Bob Marshall Wilderness every summer for their family vacation. 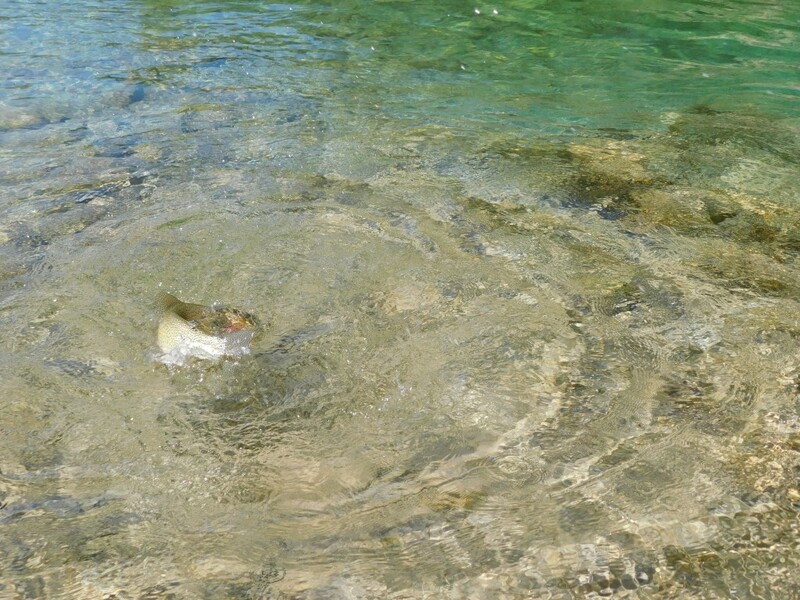 The best part: they fished this exact fishing hole on White River. No filter or editing; the water really is this color. And while my grandpa has been gone for a few years now (and I still miss him every day), it was so special to know that both my grandpa and my mom had spent time casting their own fishing lines in this spot. Sidenote: this was a memory my mama shared with me after I came out of the Bob. 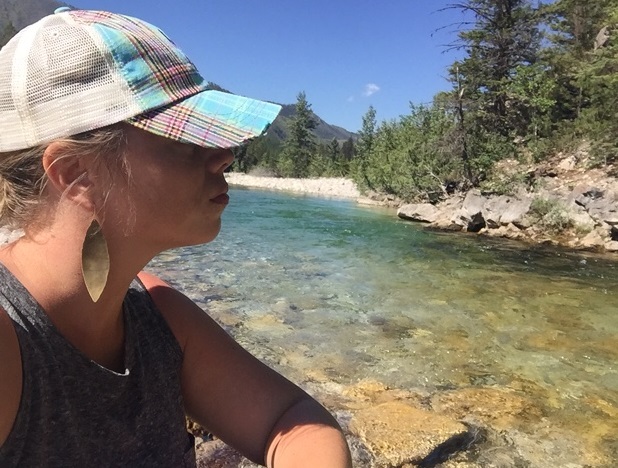 Looking back on that day, I spent quite a bit of time just sitting on the shore of White River and trying to soak up every moment. 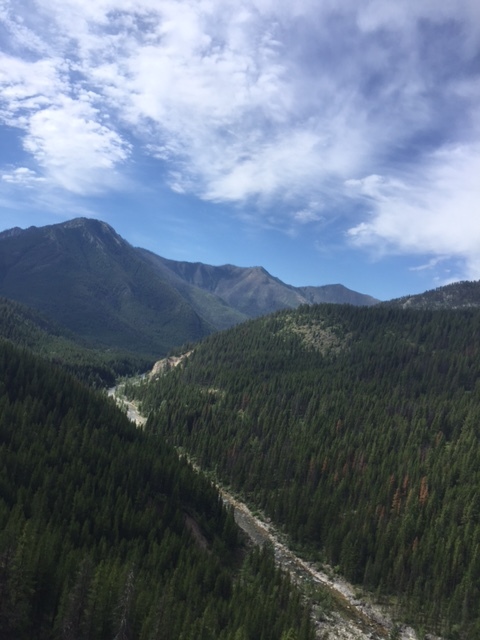 Now it makes sense to me why I was so drawn to that particular location; being in the same place my mom and grandpa had been decades before turned that Montana memory into something that I can only describe as part magic and completely special. I’m certain that I’ll love this place forever. Fishing will Bill, another sweet (and funny) grandpa. I love a feisty fish. 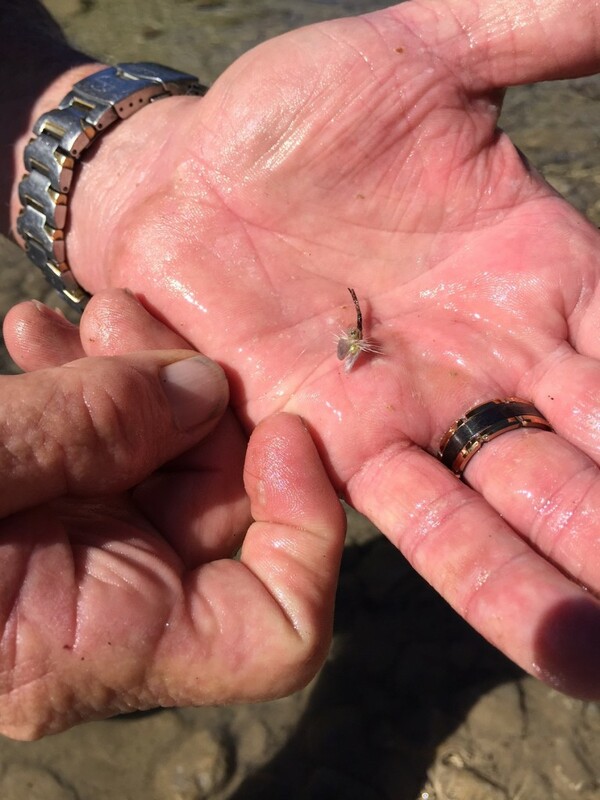 The little fly that landed the fish. After a few hours on the river, we headed back to camp to meet up with the rest of our crew. At dinner on our last night, we sat around eating ribeye steak (which was THE best steak I’ve ever had) and sharing highlights from our trip. Our group shared moments that included Amy’s cooking, the views from the Chinese Wall and making the ride to Gladiator. When it was time for my turn, I teared up…and not because I was sad, but because a trip like this isn’t something that can easily be put into words. To sum it up, it was one of the most impactful trips I’ve ever taken. We all went to bed that night knowing that we had all shared an experience that would stay with us forever. 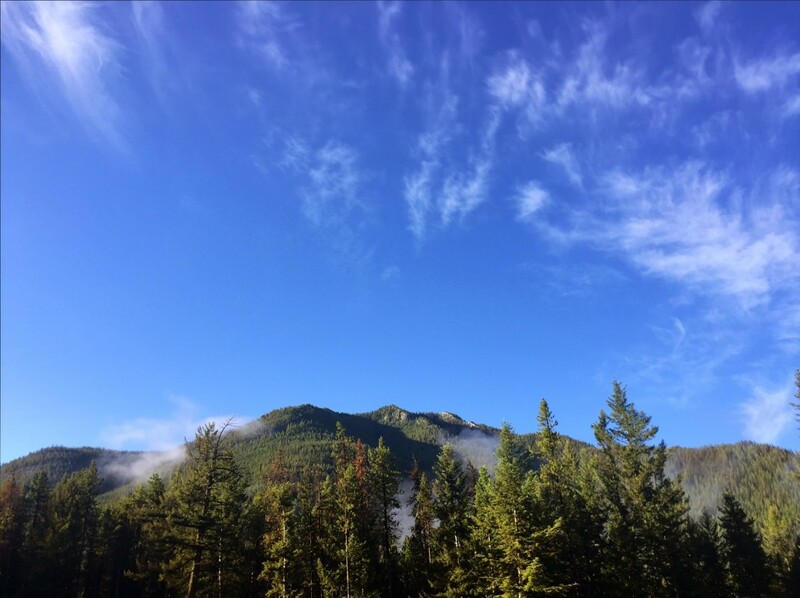 On the last day, we awoke early and prepared to hit the 24-mile-long trail to Benchmark. 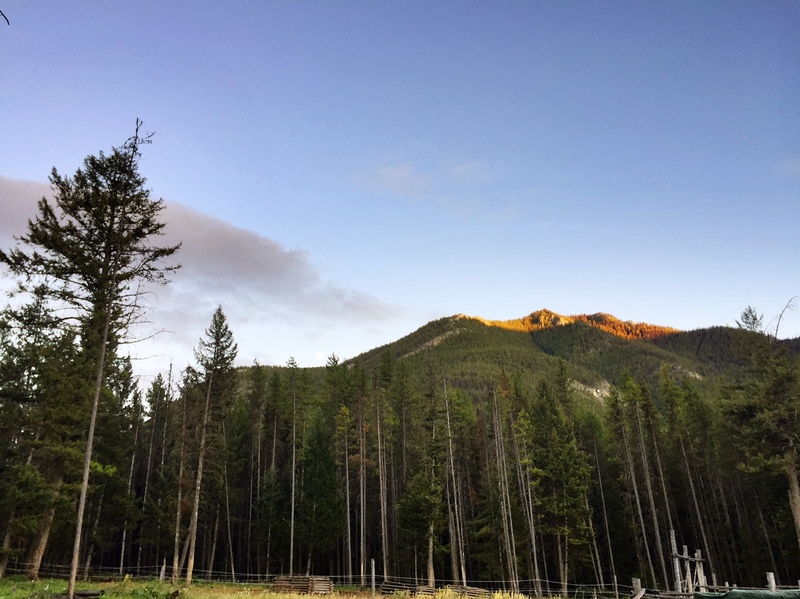 This is how light it was at 5:38 a.m. in the mountains. 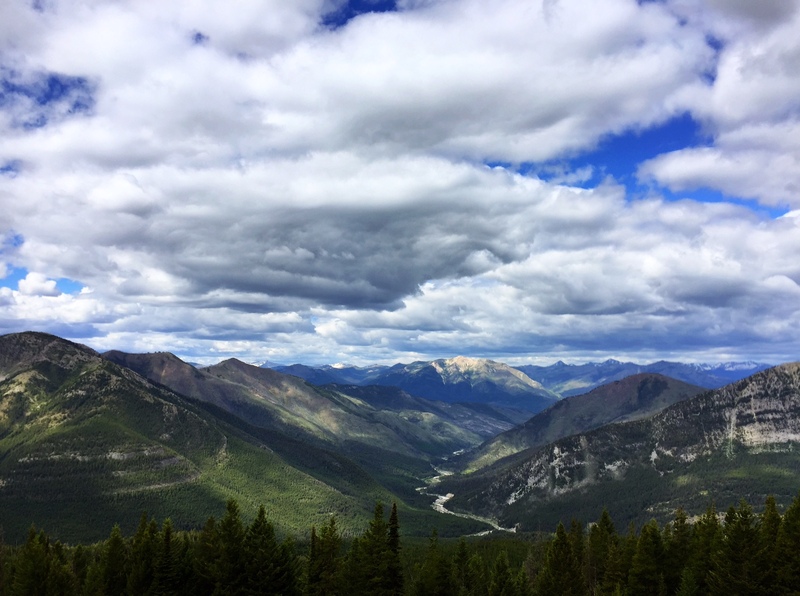 By 9 a.m., we were climbing up the Continental Divide toward White River Pass. 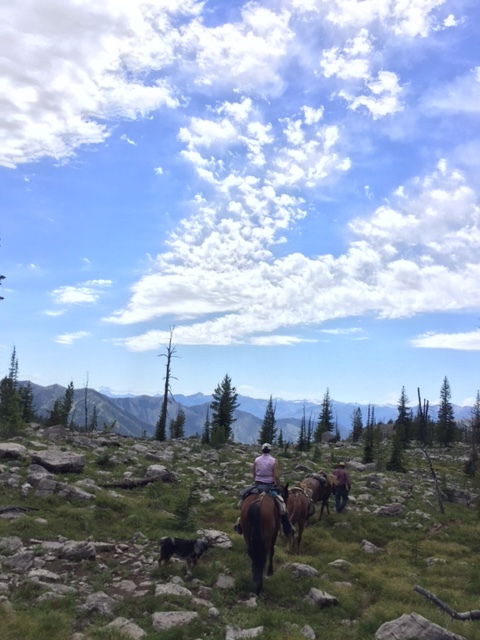 Giving the horses a rest on top of the pass is always a good idea, especially with this view. Standing at a place that’s frozen in time. Cementing this moment in my mind. Giving Popeye a well-deserved break from carrying my booty up the mountain. 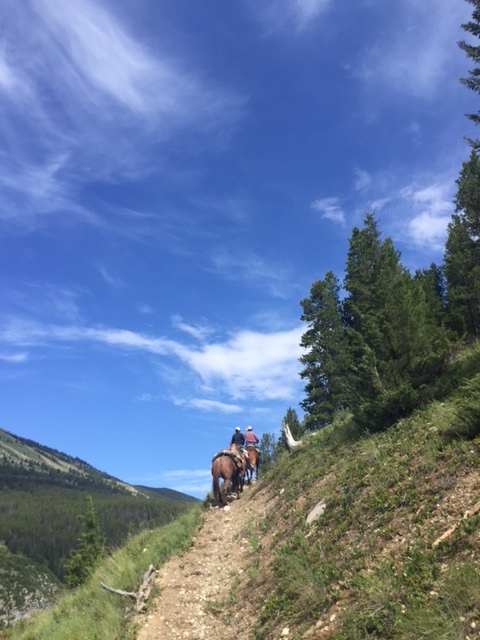 We walked a few miles down from White River Pass along creeks and through forests before mounting our horses to ride the rest of the way to our lunch stop. While we were taking a break, the two pack strings caught up with us. 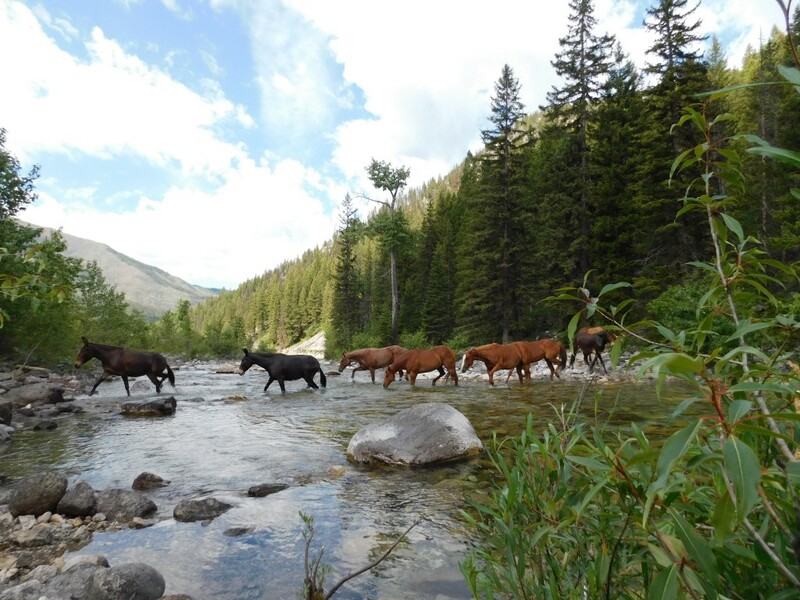 I’ve said it before and I’ll say it again: those mules can move. Tucker and his pack string. 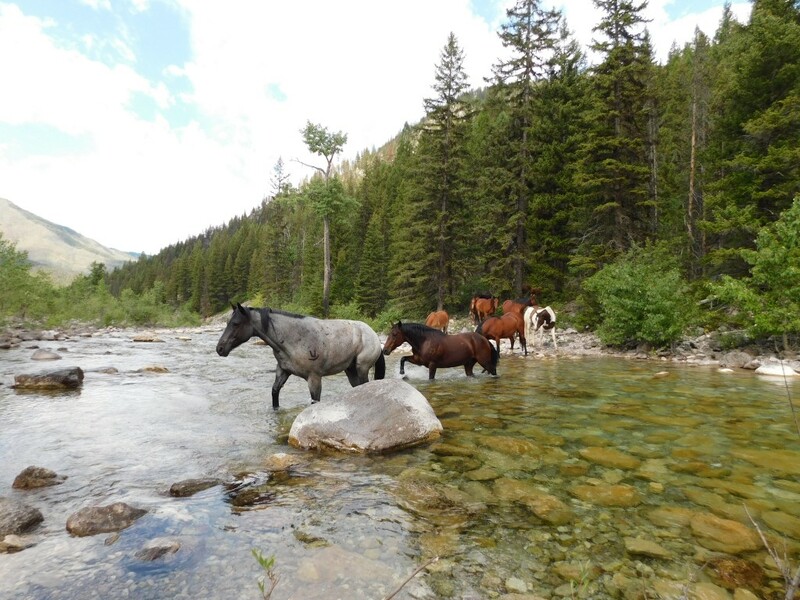 Crossing the creek, with a stop to let the mules drink. 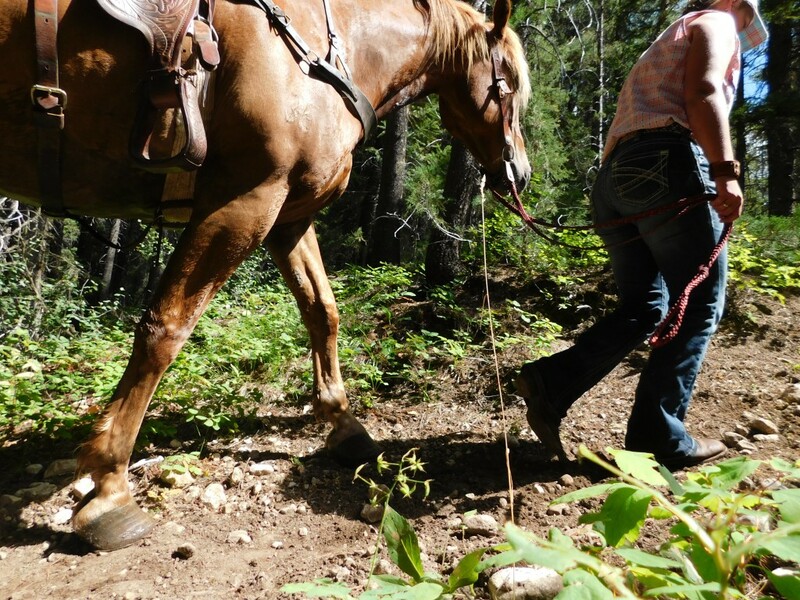 A well-behaved mule string is a beautiful thing. 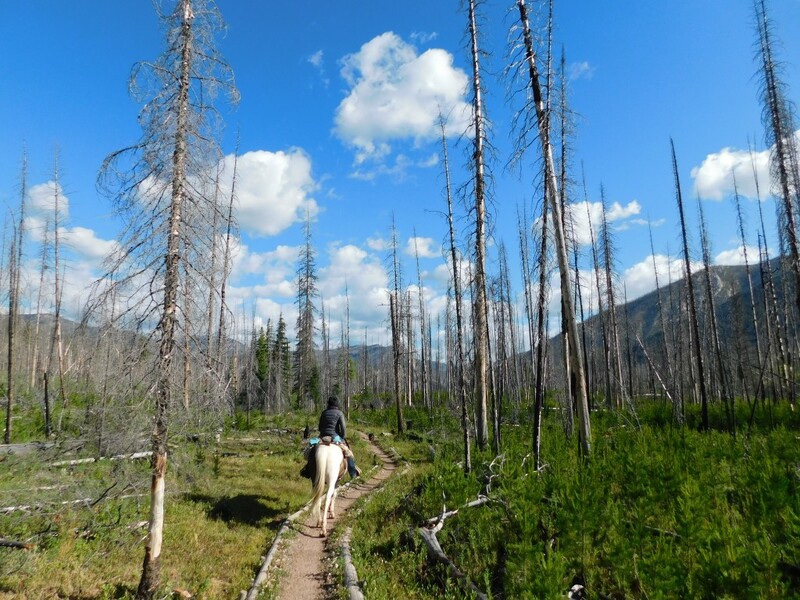 Riding back through an old forest fire. 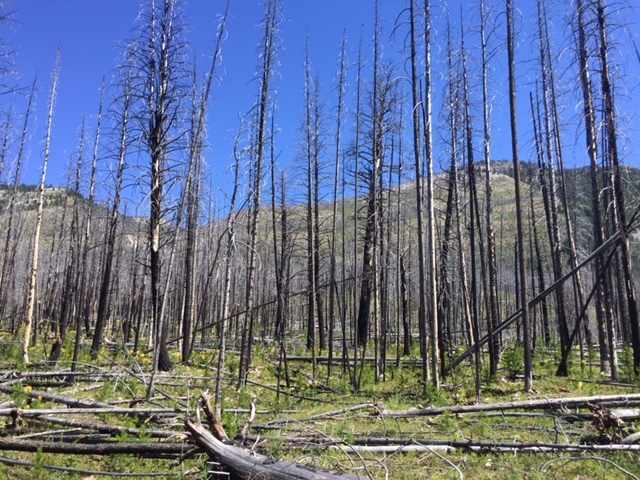 As we made our way through this burnt forest, a wind howled through the trees creating one of the eeriest sounds I’ve ever heard. Getting closer! At this point, we were about 2.5 hours away from the trailhead and our rear ends were feeling it. 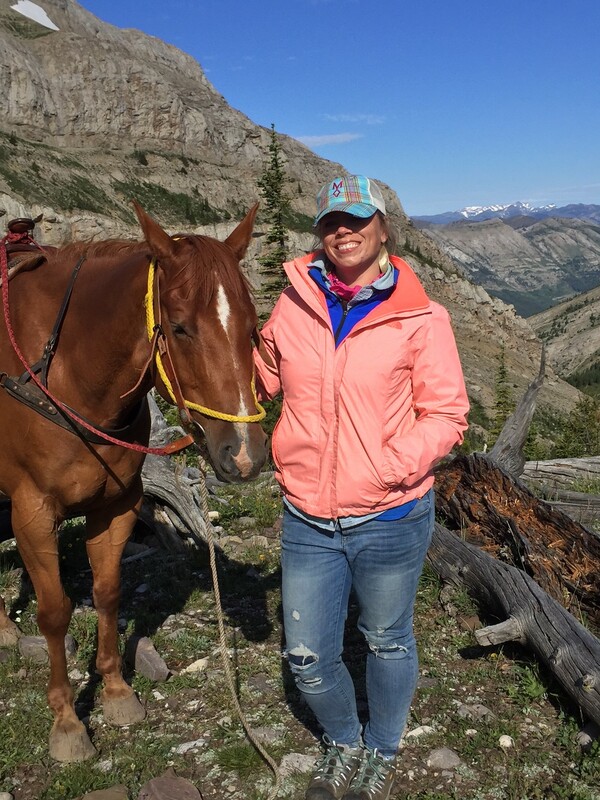 Just a girl, her horse and their shadows. 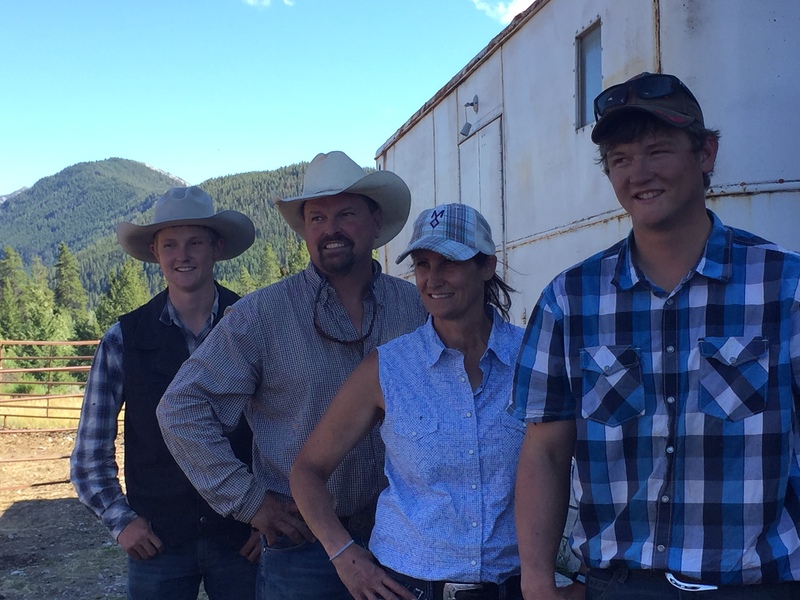 We were met at the trailhead by Bryar (Amy and Tucker’s oldest son) and cool drinks. 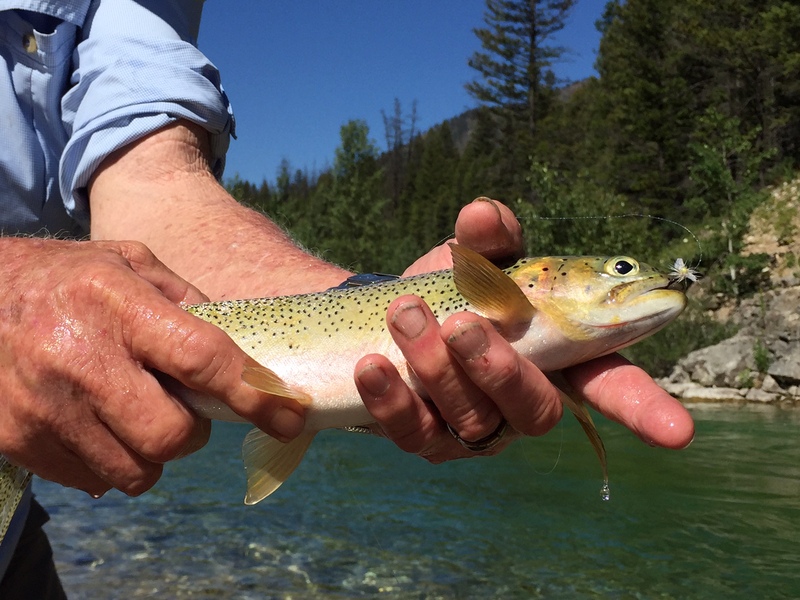 -Go with an experienced outfitter. 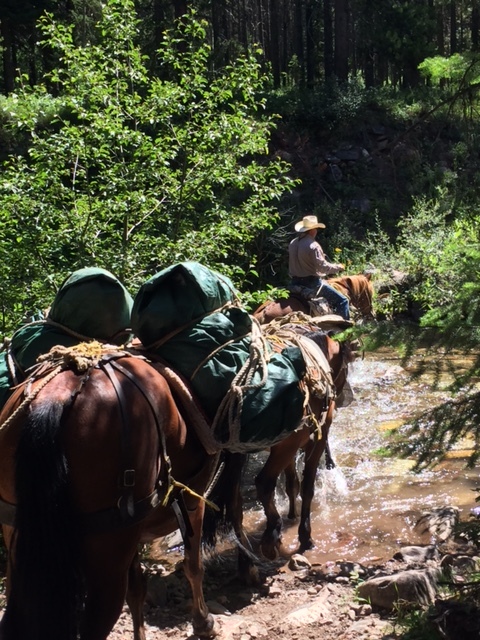 Mills Wilderness Adventures has more than 100 years of experience packing into The Bob and it shows in how they handle their stock, welcome their guests and act as true stewards of the land. Other recommended outfitters can be found here. -Book your trip in advance. 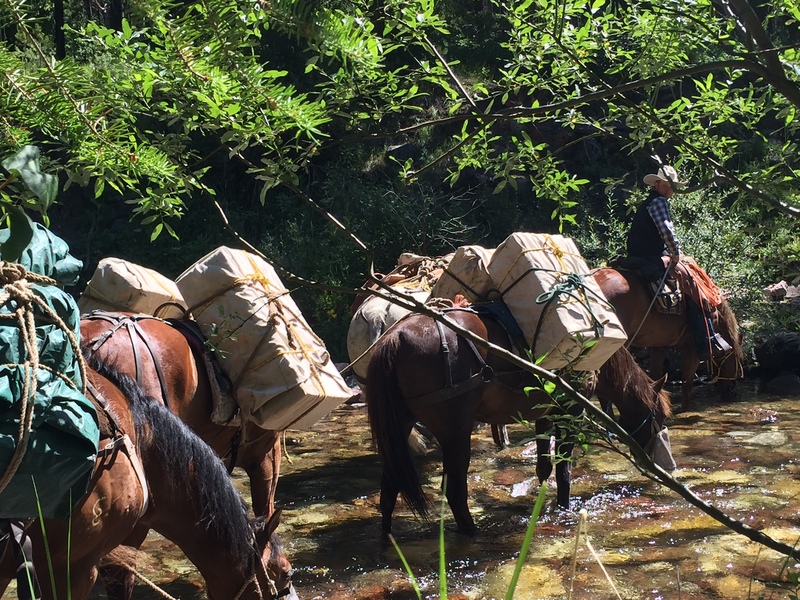 If you want to take a pack trip in summer 2017, start researching the area and outfitter you’d like to go with now. 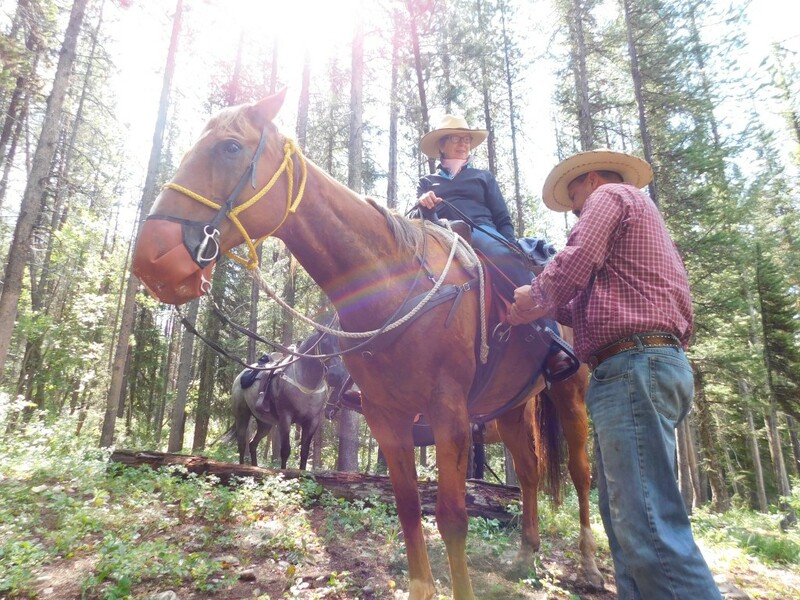 -You don’t have to be an avid horseback rider to take a pack trip. If you’re not, your booty will be sore (especially on day one and day seven) but riding that far is manageable. Don’t let the distance scare you. 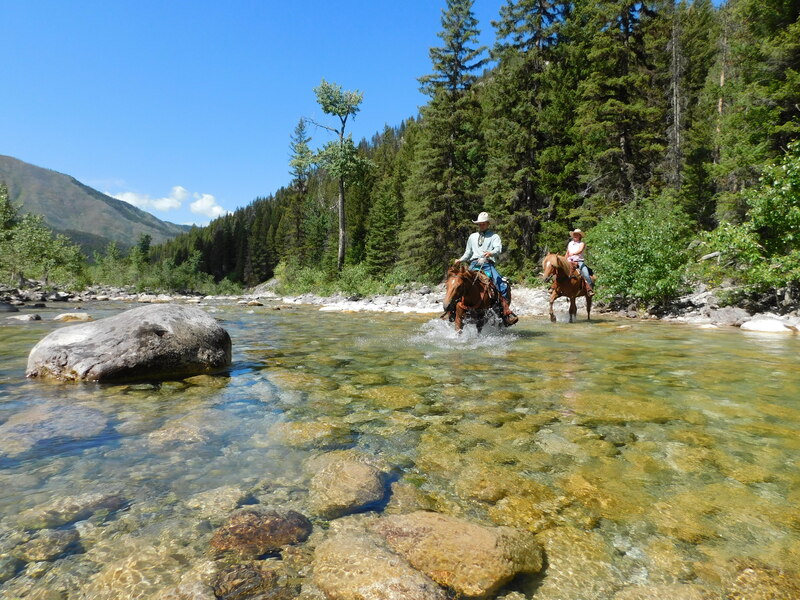 -If you book a trip with Amy and Tucker Mills, get ready for some of the best storytelling you’ll ever hear. 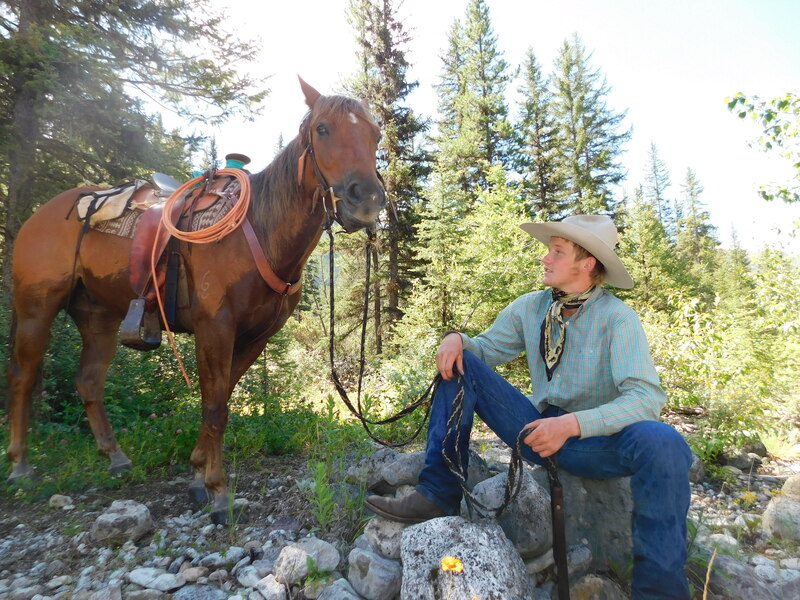 While Tucker has a quiet demeanor, he is one of the best storytellers in the area. 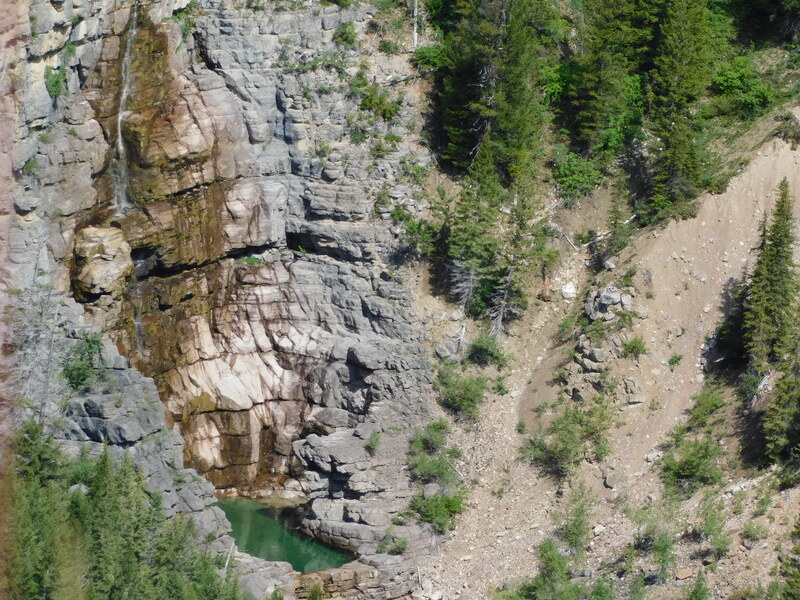 -If you plan on using your cell phone as your camera, bring a portable or solar charger. 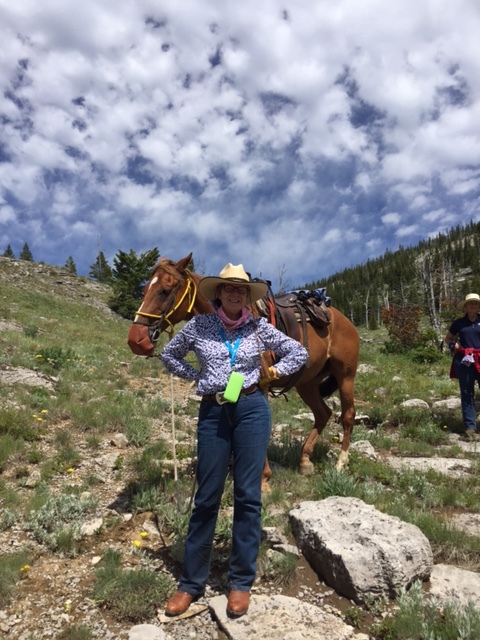 -For packing, be sure to bring a button-down shirt (or two); hiking boots (don’t forget these at home – I was SO glad I had cowboy boots and hiking boots); and riding gloves (to help keep your hands a bit clean during long rides). 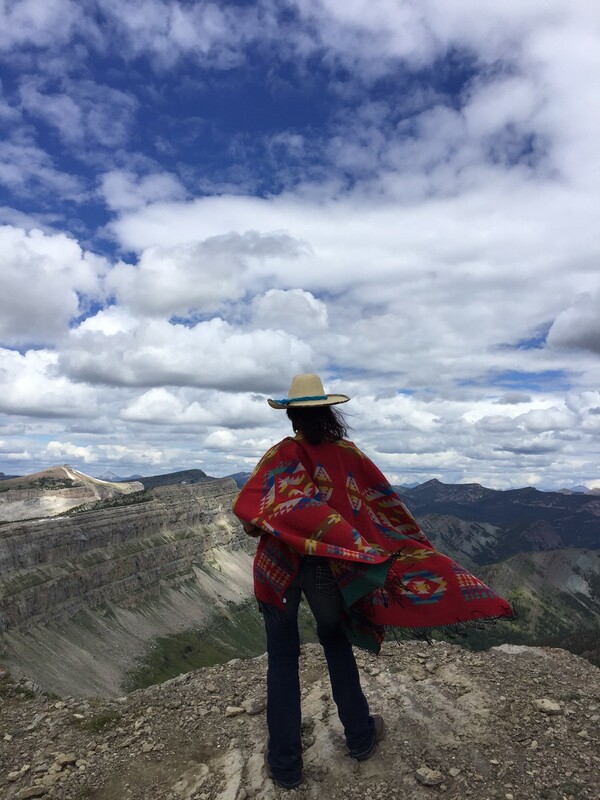 As for me, this trip was special because it’s a memory that could only be made in Montana. And that’s something I’ll be grateful for forever. 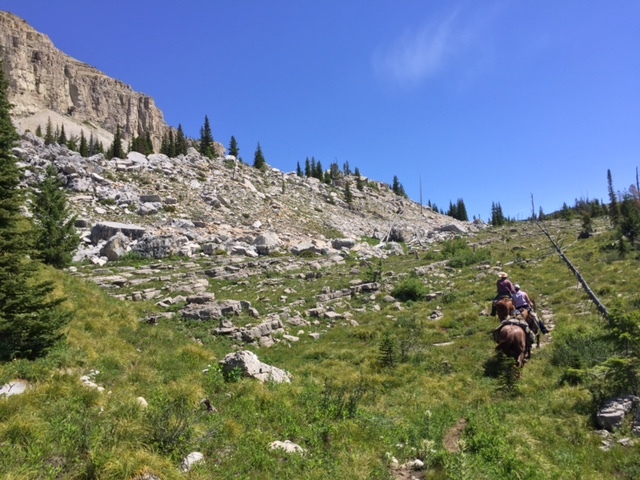 This entry was posted in Summer and tagged Adventure, Bob Marshall Wilderness, Guided pack trips, Guided trips, Montana, Outfitters, Summer on October 4, 2016 by tiatroy. 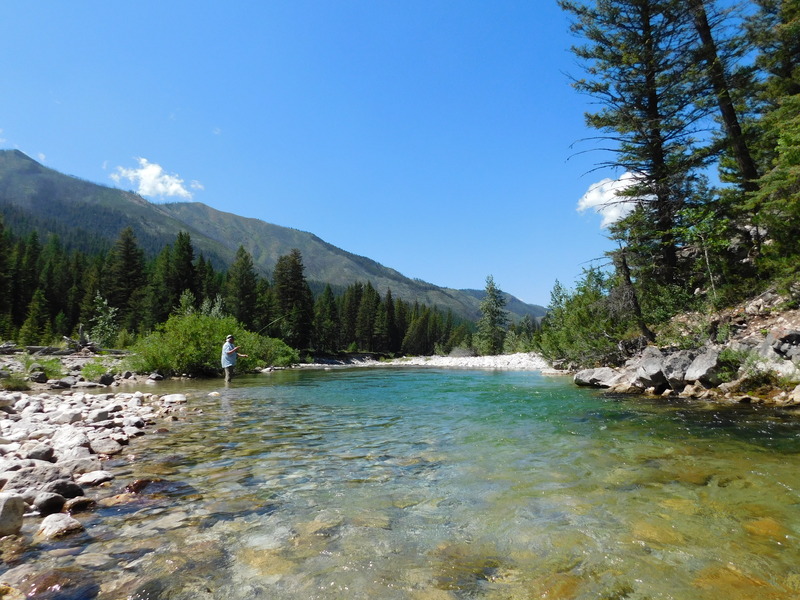 If you’ve been reading this blog for a while, you know that earlier this summer I fulfilled a lifelong dream of mine and took a pack trip into Montana’s Bob Marshall Wilderness will Mills Wilderness Adventures. 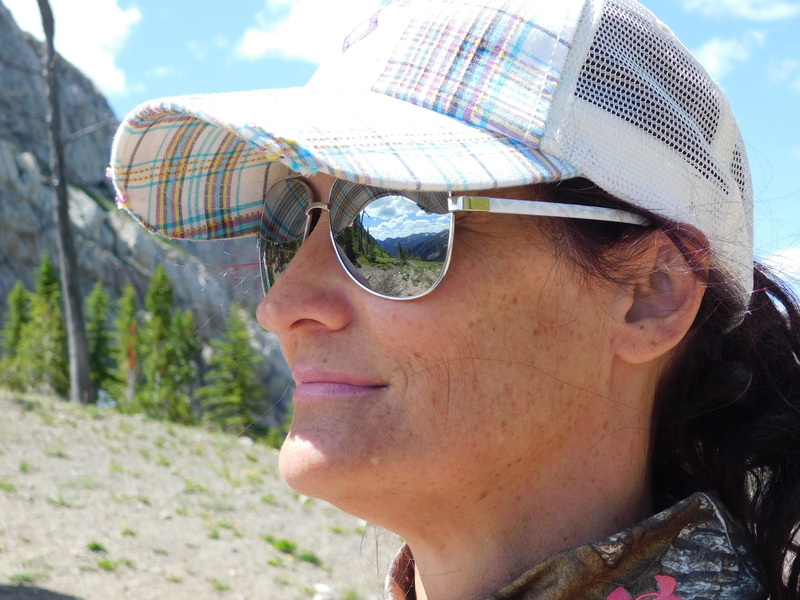 Sidenote: if you’re just joining me, you can check out part one of the pack trip here. On day four—the day after our incredible ride to the Chinese Wall—I decided to hang out at camp, relax and try my hand at taking photos. 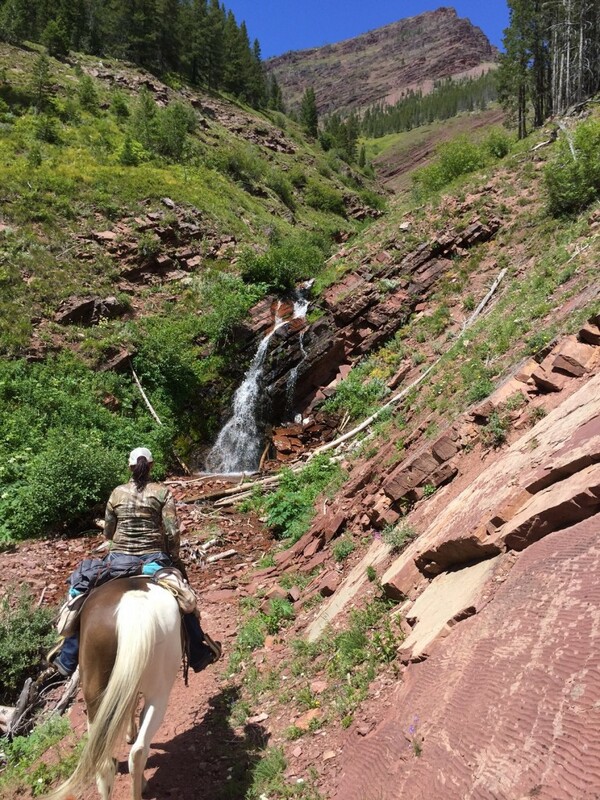 I was joined by two pals, Turk and Cinnamon, and we headed down to play in White River. The path from camp down to White River. I’m fairly certain this little path was magic. Getting his saddle ready to ride. My favorite part of this photo: he didn’t know I was taking it. 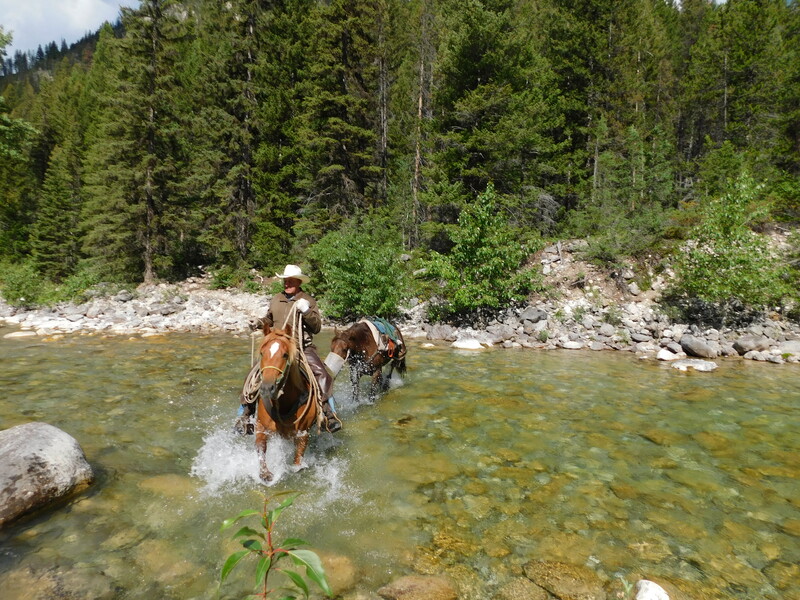 Turk (and his trusty steed) crossing White River. After chatting with Cinnamon along the river, we turned around and saw this scene. 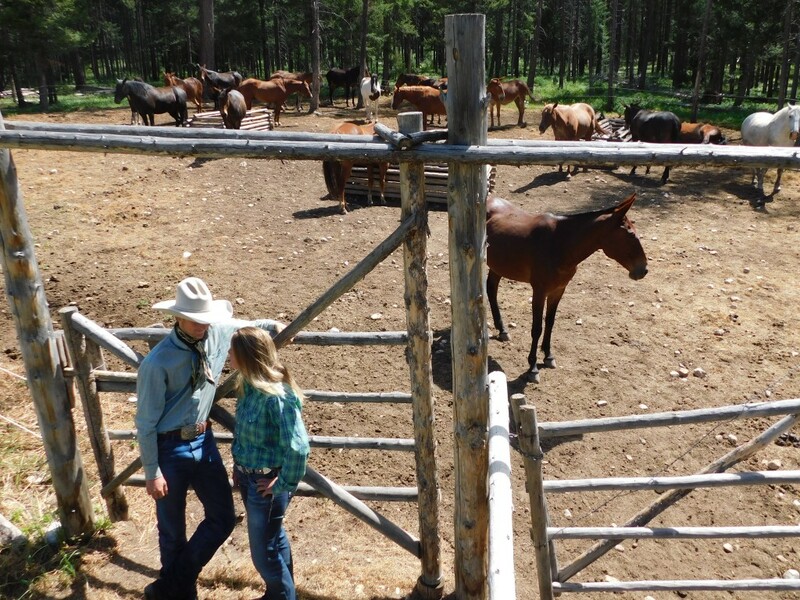 This was one of the favorite moments from my trip: just a cowboy hanging out, talking to his horse. 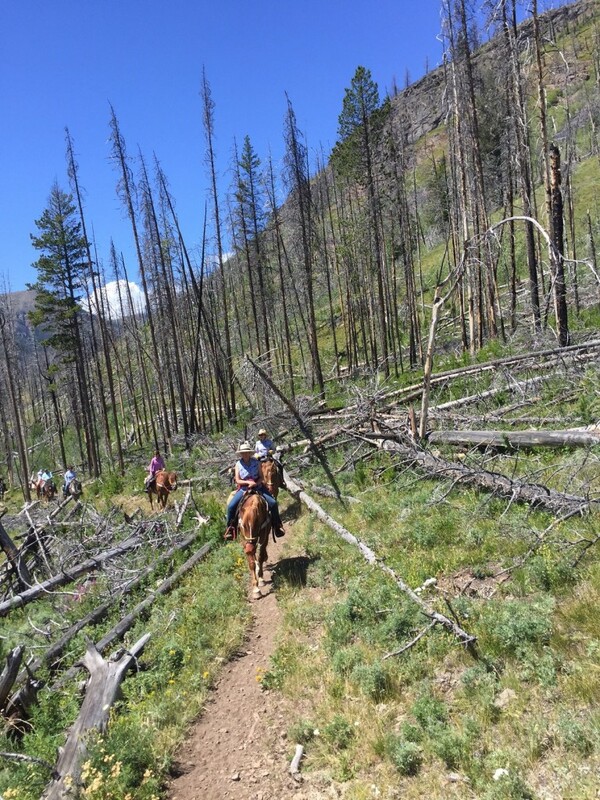 PSA: I love riding horses…but you don’t have to be a horseman to enjoy the Bob Marshall Wilderness. 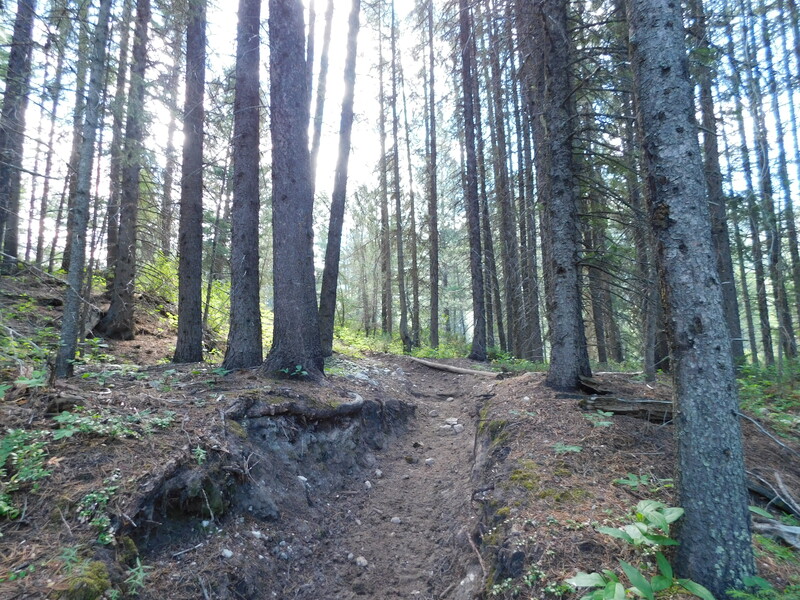 Its trails are also perfect for hiking. Heading back up to camp. Hanging out with the horses AKA the perfect companions. 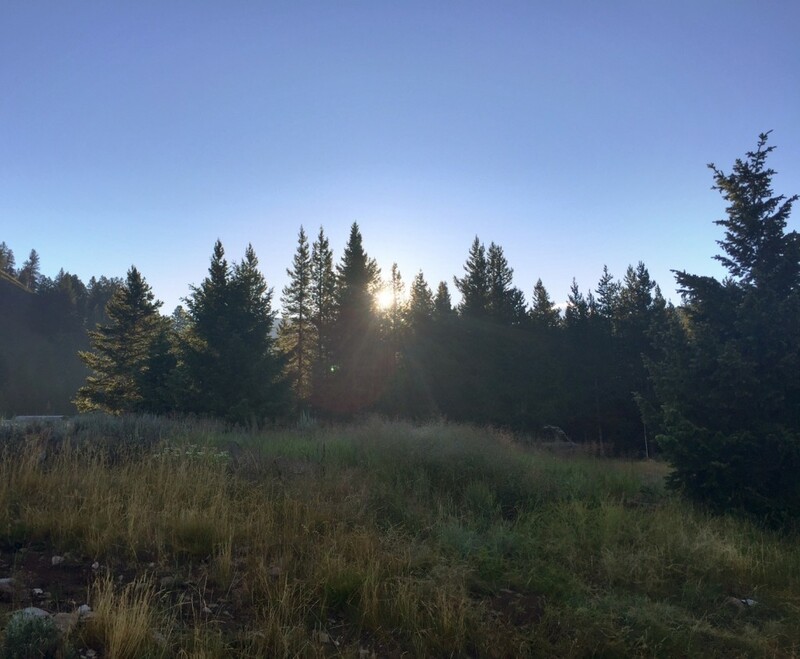 After our day hanging out at camp and taking pictures, we awoke on day five to one of the most perfect mornings of the summer. Good morning to you too, Rocky Mountains. 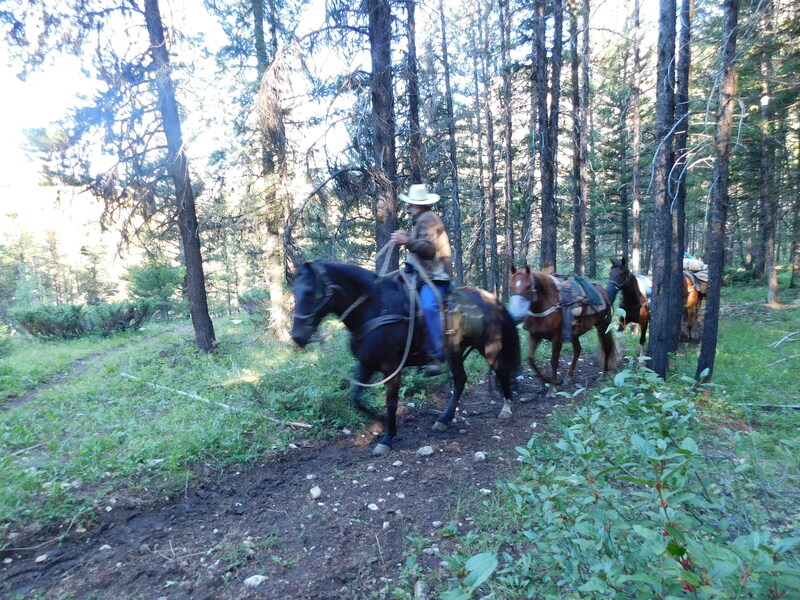 Following breakfast, Bob (one of the wranglers and perhaps one of the kindest men I’ve ever had the pleasure of meeting) headed out with his pack string to ride the 24 miles back out to the Benchmark Trailhead. While I knew Bob had done this ride solo many times, as I watched him and his string make their way down the trail I was filled with feelings of awe and wonder as they rode off into the forest. 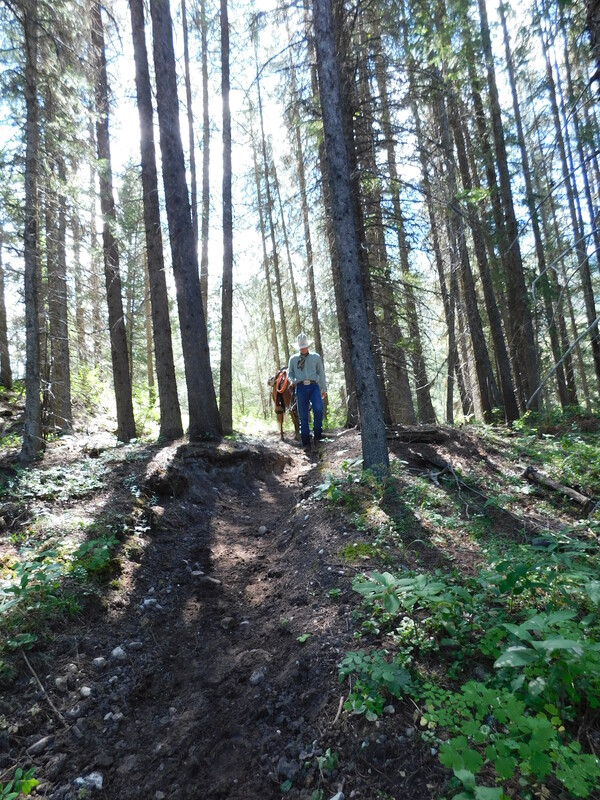 After sending Bob off down the trail, we prepared to head out for today’s destination: Gladiator Mountain. 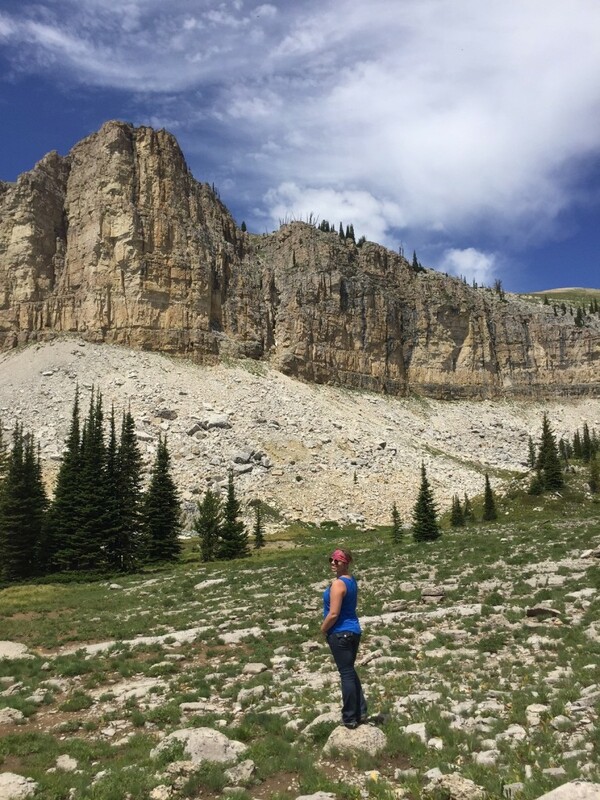 A 12-mile-long ride, I hadn’t heard of this mountain before now, but Amy told me it was one of her favorites so I was pretty positive I was going to love it. From camp, we stayed parallel with White River for a spell as we made our way into higher elevations and through forested terrain. Looking back toward White River. The views from here were AMAZING. Our first pit stop: Needle Falls. Taking in the view of Needle Falls. 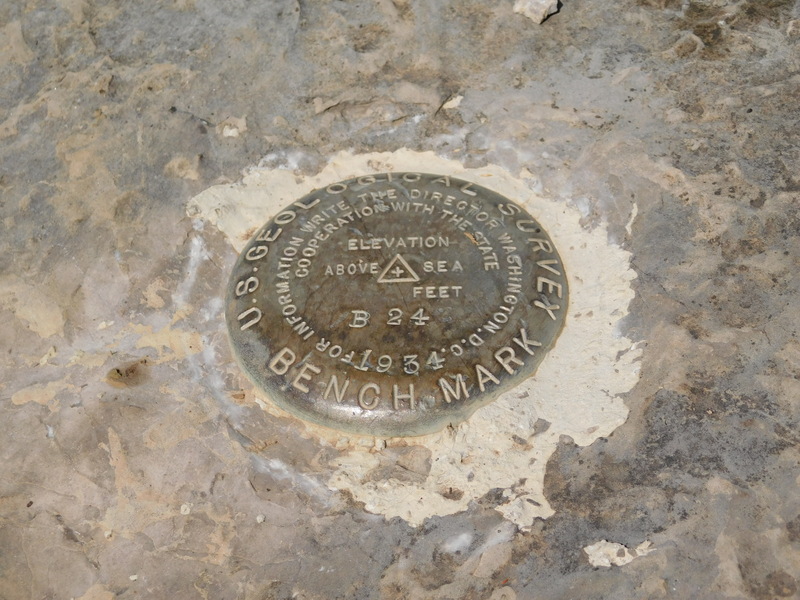 This marker was just hanging out, in the MIDDLE of the WILDERNESS. 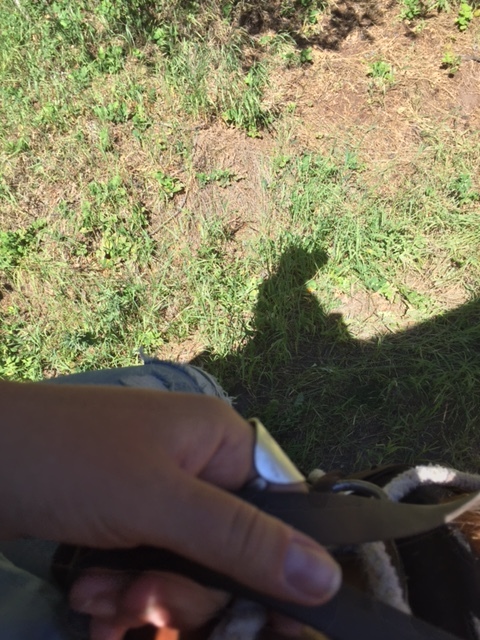 Tucker checking stirrups and the cinch. Climbing and climbing and climbing. 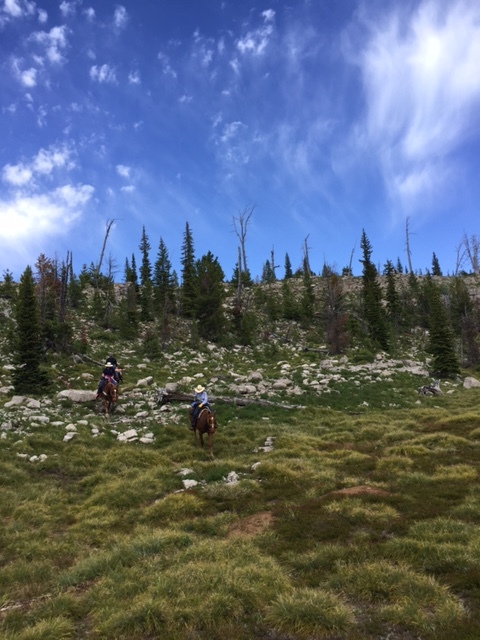 After riding across some of the most interesting terrain I’ve ever seen, we arrived to a gorgeous meadow at the base of Gladiator Mountain. And I have to be honest: I was completely surprised at the beauty of this place. 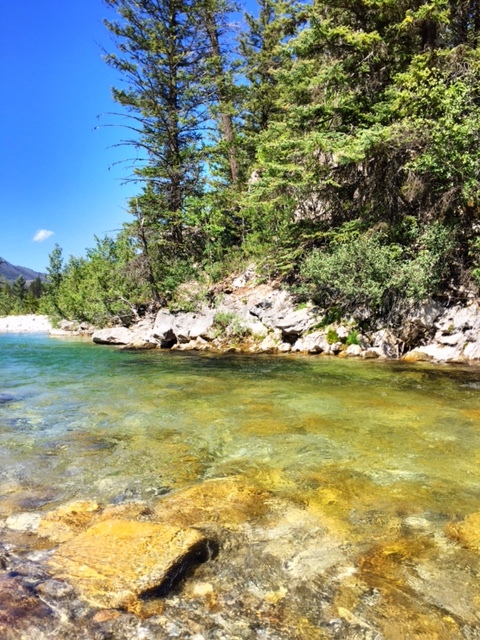 I knew it was going to be pretty, but I didn’t expect this lush oasis surrounded by mountain peaks. 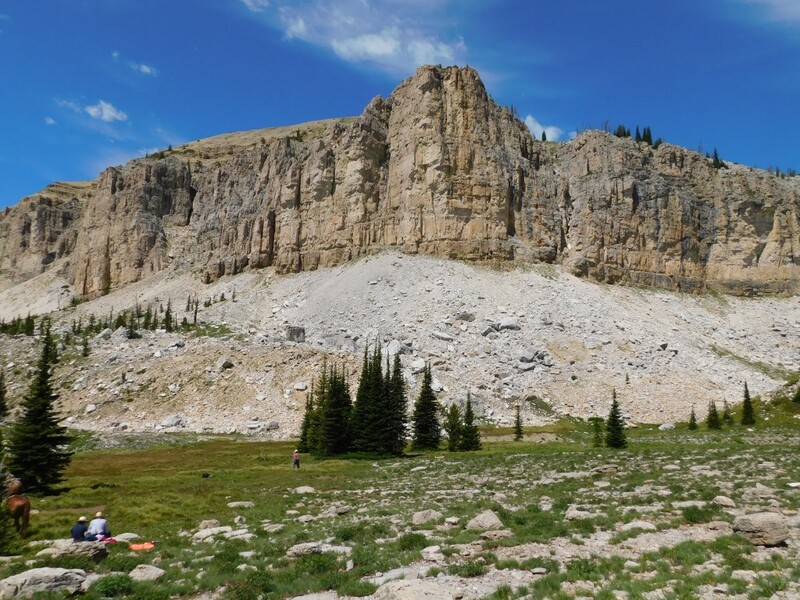 Our crew eating lunch and marveling at the incredible mountain that rose up before us. 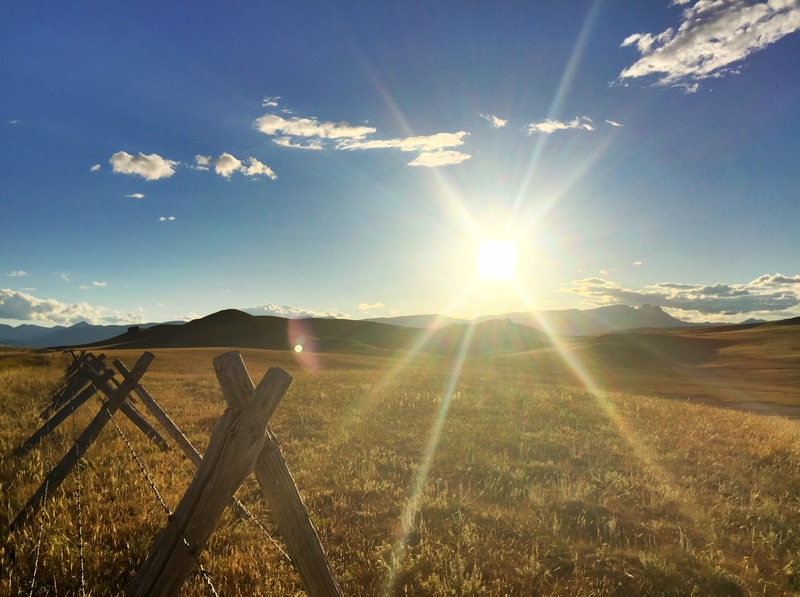 Soaking up the sun and the beauty of this meadow. 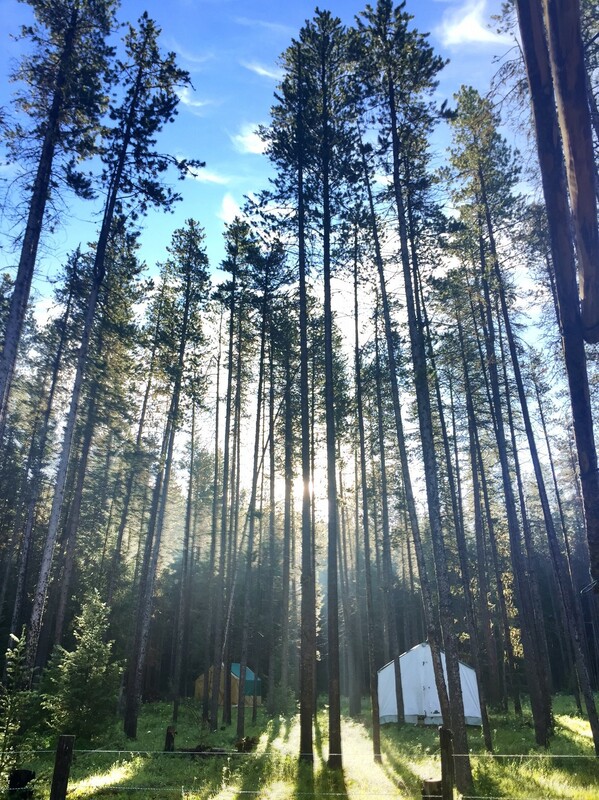 After spending as much time as we could ingraining this place and this moment into our memories, we headed back down the mountain for camp. And that, my friends, was quite the ride. 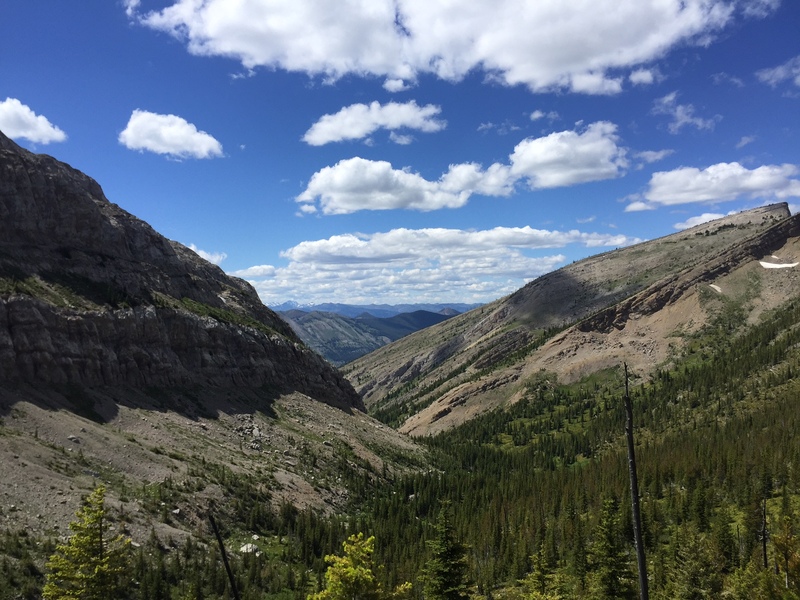 We took a different trail down and the terrain in front of seemed to go on forever, as the only thing in view was endless mountain peaks. 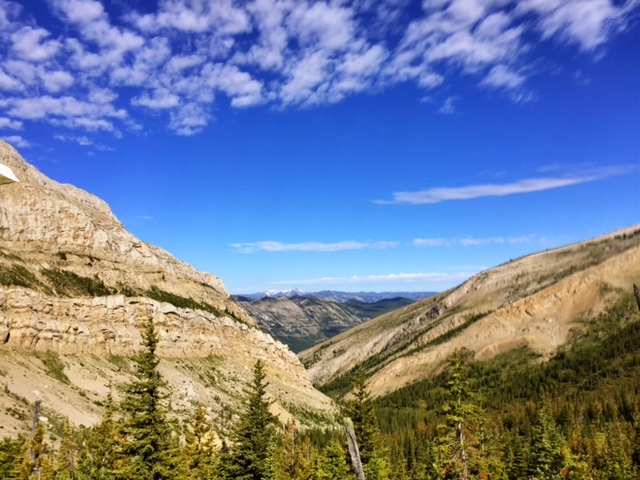 Mountains as far as the eye can see. 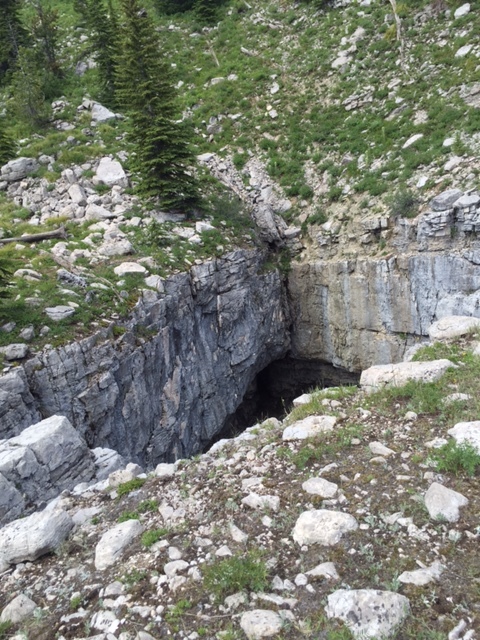 We also found this massive sinkhole on the side of the mountain. Needless to say, we didn’t get too close. And looking back on those two days now, I know one thing for sure: I wouldn’t trade them for anything. 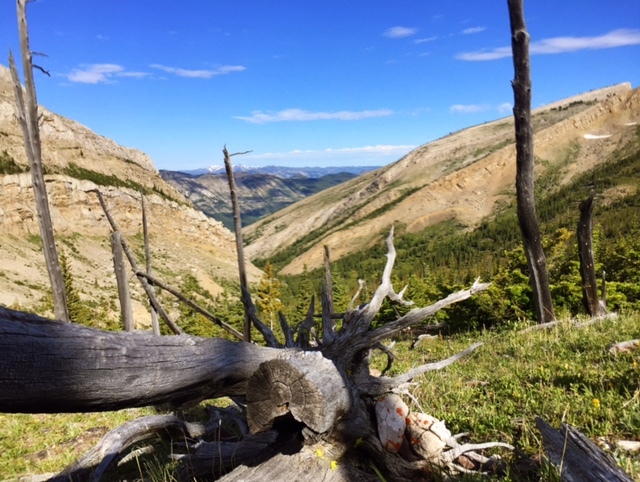 This entry was posted in Summer and tagged Adventure, Bob Marshall Wilderness, Guided pack trips, Guided trips, Montana, Outfitters, Summer on October 3, 2016 by tiatroy. 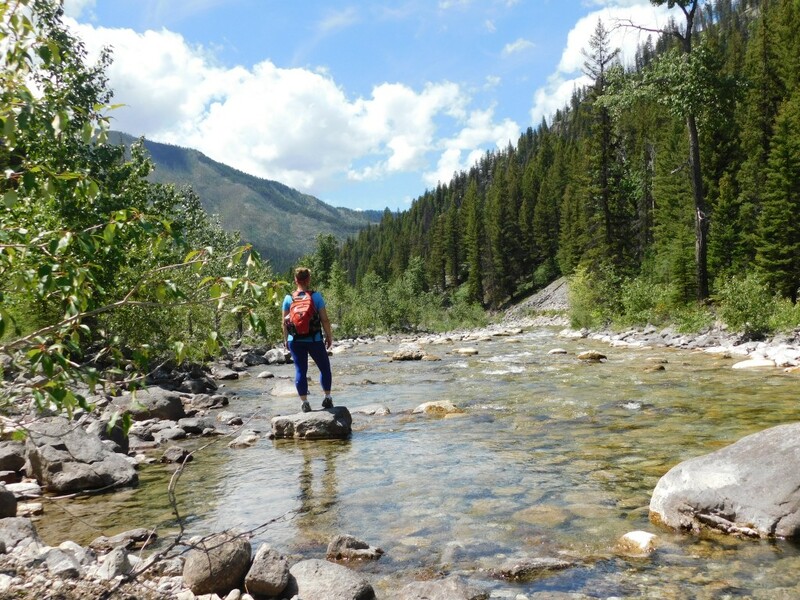 Taking a pack trip into Montana’s Bob Marshall Wilderness has been a dream of mine for as long as I can remember. 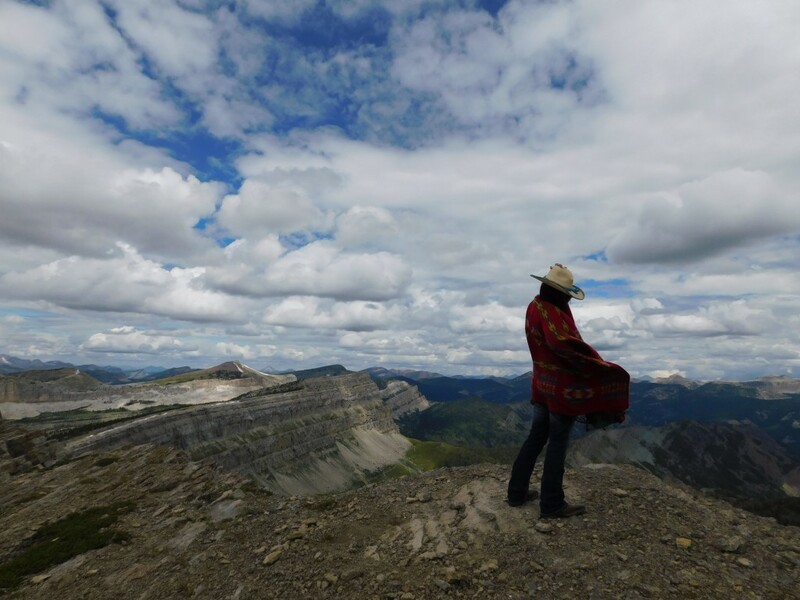 I grew up on the doorstep of The Bob along Montana’s Rocky Mountain Front where I could look out my window and see it everyday, and while I had played in this wilderness on day hikes and rides, I’d never spent an extended amount of time in my backyard treasure. Which, let’s be honest, is kind of weird and really lame. Montana’s Rocky Mountain Front AKA the gateway to the Bob Marshall Wilderness. While several members of my immediate and extended family did horseback pack trips or hiking trips in the Bob Marshall pretty regularly, including my mama (who went in every summer with her family growing up), my grandpa (who made countless trips into The Bob, even during his later years in life) my big sister and both of my little brothers. And yet, my messy-haired blond self never went on any of those trips. 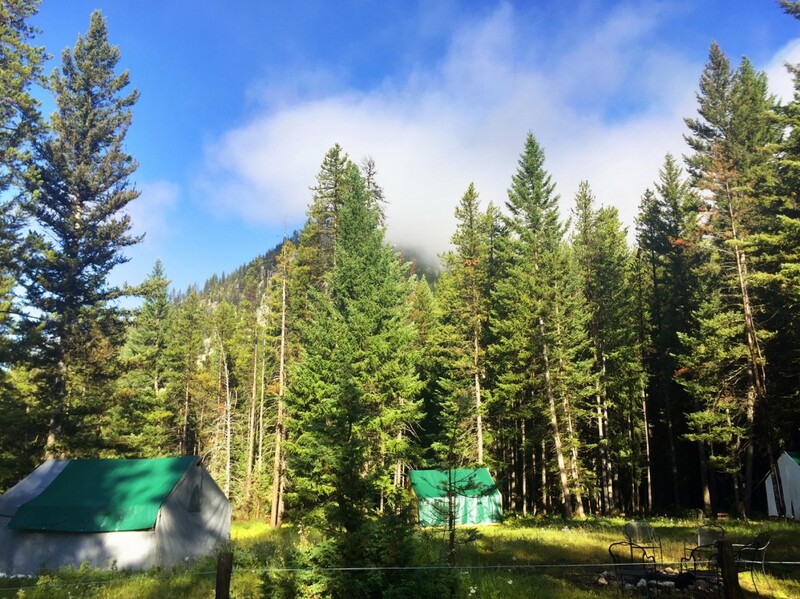 However, ALL of that changed this summer when I was able to fulfill a lifelong dream of mine and spend a week in the heart of one of Montana’s most spectacular places—the Bob Marshall Wilderness. And in case you’re wondering how this dream of mine finally came true, it was because of my friend (who is also my cousin, because Montana is small and my family is big) Amy Mills. 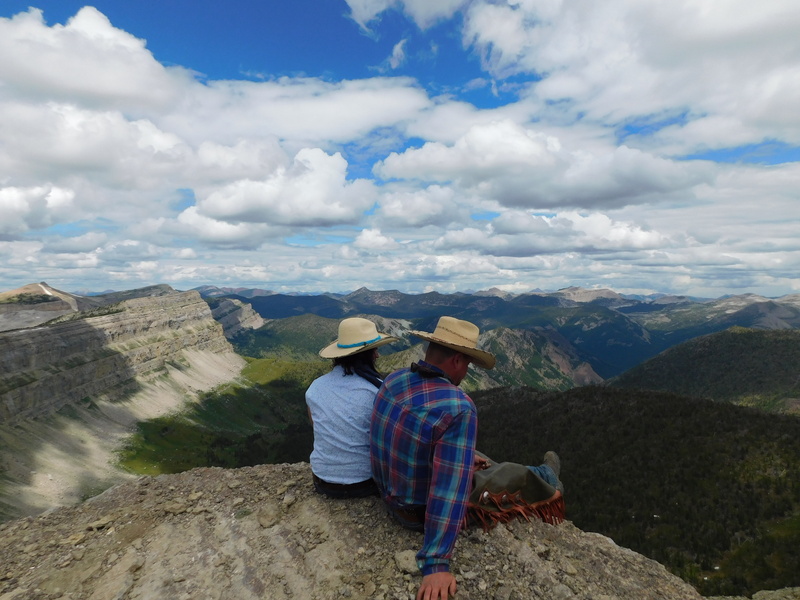 Amy and her husband Tucker own Mills Wilderness Adventures and they regularly take guests into The Bob and as luck would have it (and because they’re really nice and knew I had never gone on a pack trip), they invited me to join them for a trip this summer. 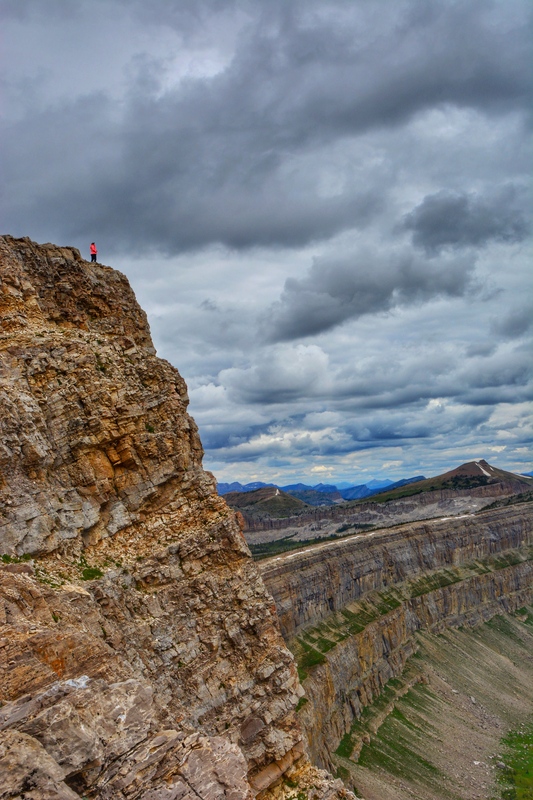 Needless to say, I jumped at their invitation and on July 14 we headed into the Bob Marshall Wilderness to spend a blissful week in one of the most incredible places on earth. On the first day of our trip, we met in Augusta and headed to the Benchmark Trailhead for a trip that was sure to be one of the best adventures of my life. 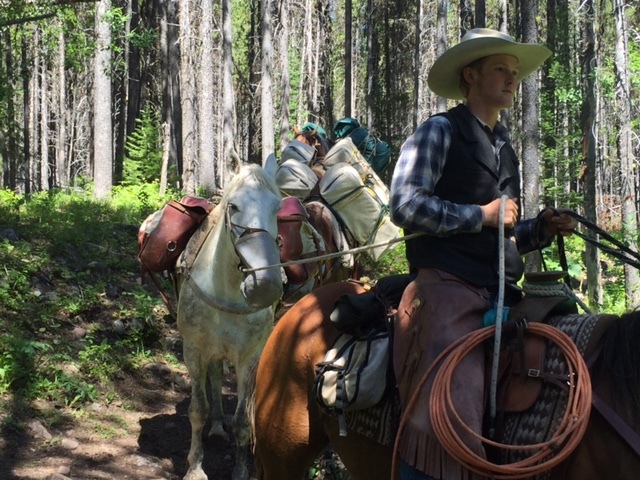 We got to the trailhead where Tucker and his crew were waiting for us with pack strings and horses saddled and ready to go. 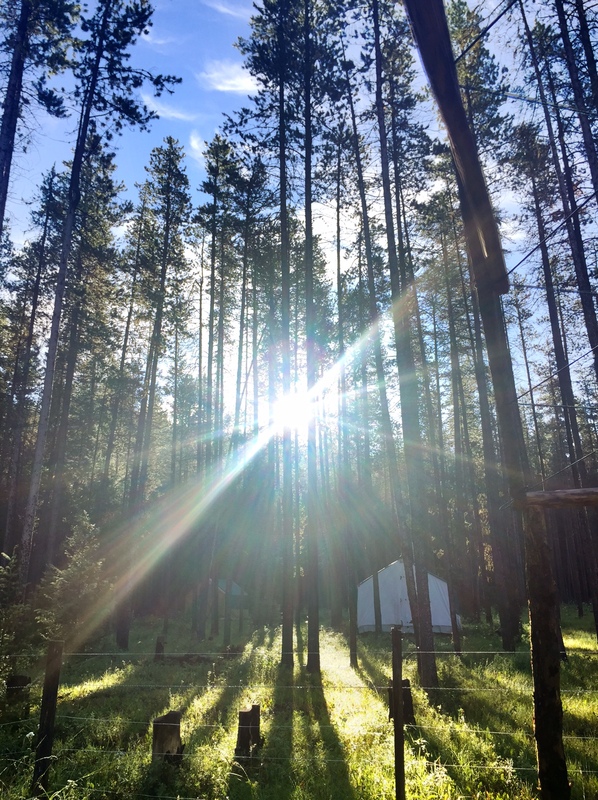 Morning light at Benchmark Trailhead. 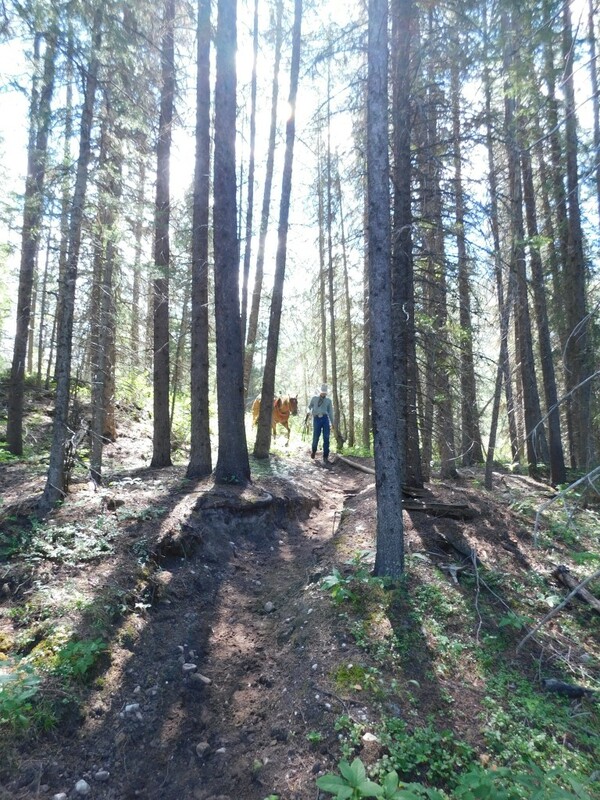 By 8 a.m. we were on the trail making our way to White River, our camp for the week. 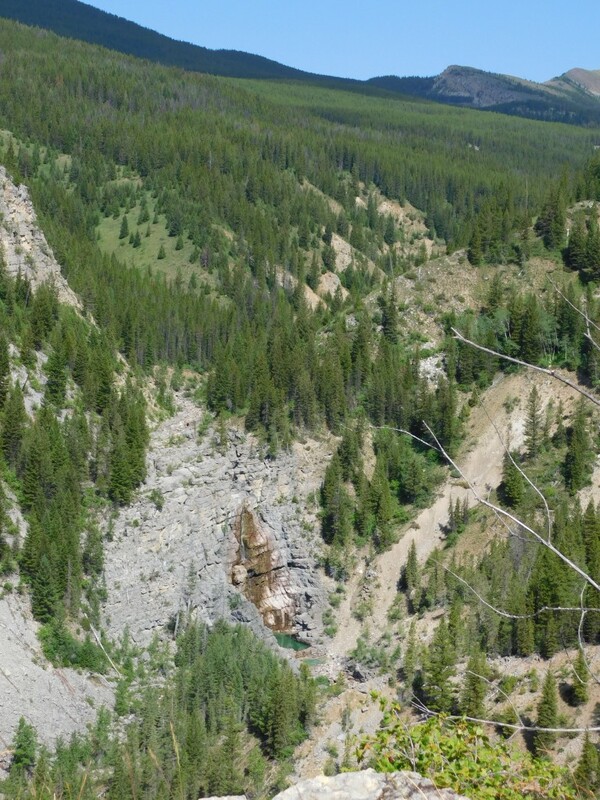 Today’s ride was 24-miles-long and would include cresting the Continental Divide at White River Pass. 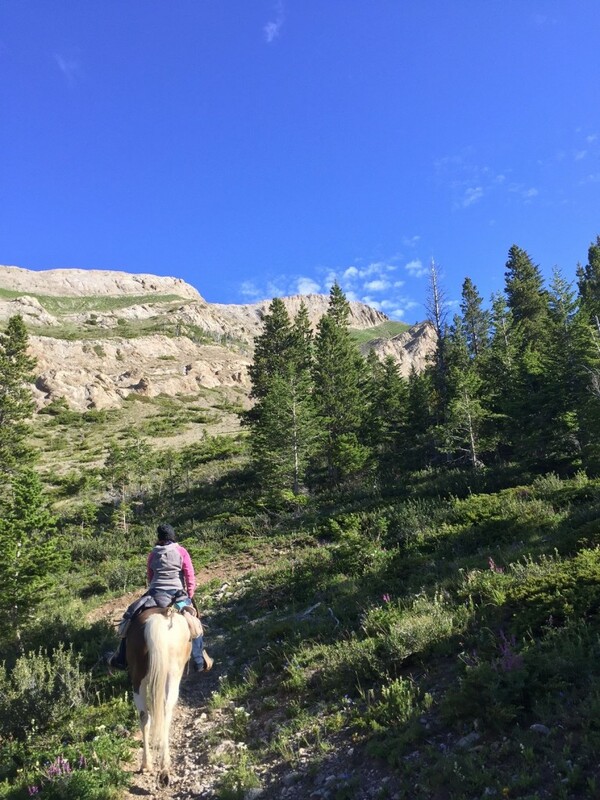 There was a moment on the ride where I looked back at the rest of the group and saw the mountains rising behind them and wondered if this is how early explorers felt when they set out to explore the West. That feeling was quickly replaced by one that is best described as surreal. Even though The Bob has always been my backyard and I’ve looked at its landscapes thousands of times, I almost couldn’t believe the beauty of it was real. 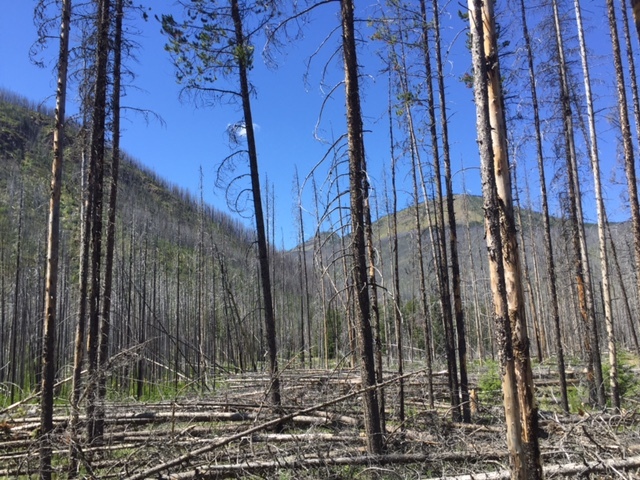 Our views included open meadows, cliffside trails and terrain that was burnt during a forest fire in 2007. This part of the ride (through an old forest fire burn) was hauntingly beautiful. At our mid-morning break, the pack strings passed us. Those mules can MOVE. Amy and Hawk leading our group up the trail. 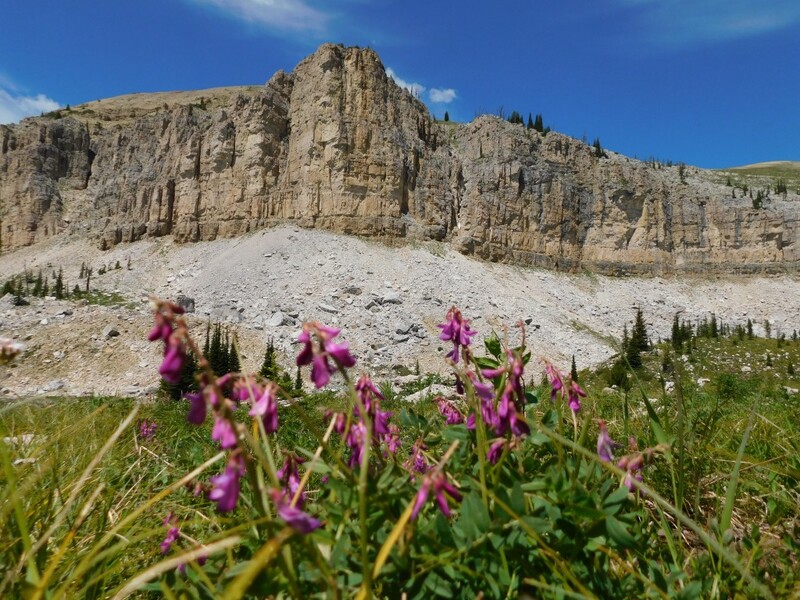 White Rive Pass: Elephant Ear to the left and Haystack Mountain (the start of the southern portion of the Chinese Wall) to the right. 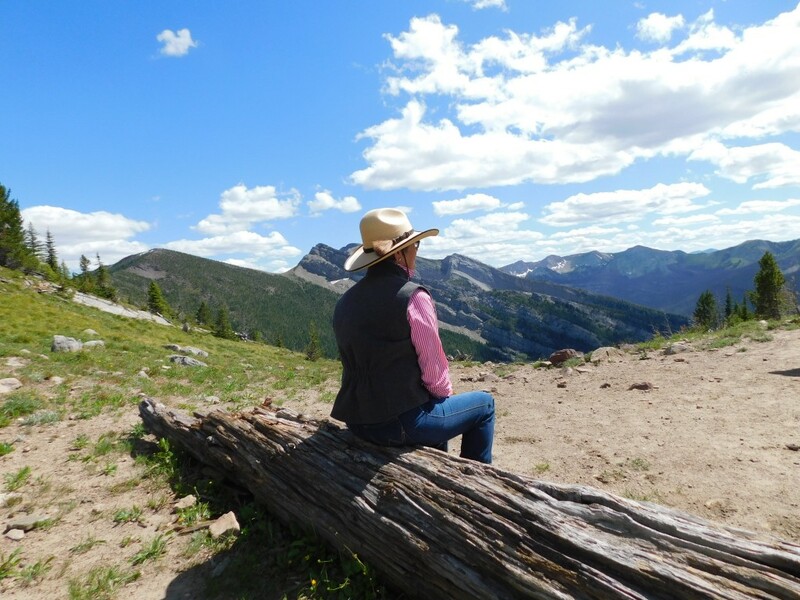 Janet, an avid horsewoman and perhaps one of the loveliest gals ever, checking out the view of the Flathead Alps from White River Pass. Beth and Jeanine capturing a memory. I loved seeing the rest of the guests loving my Montana so much. 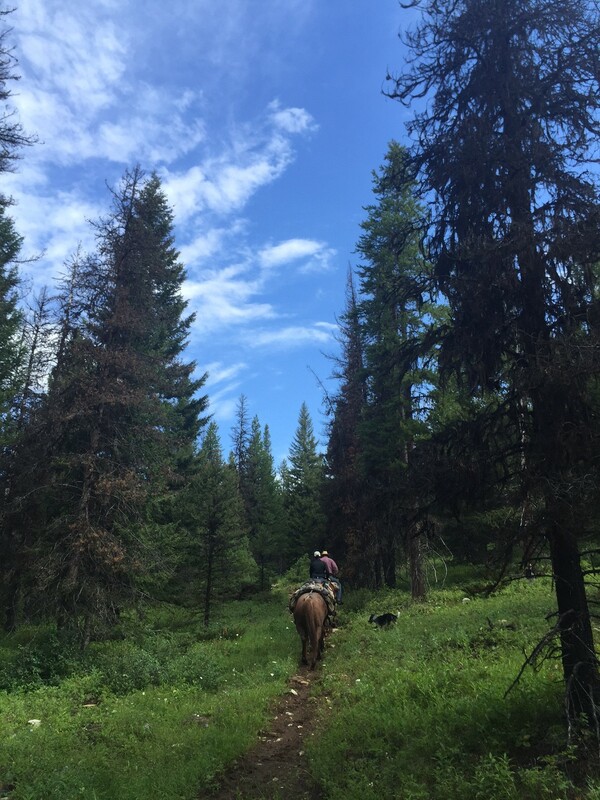 After 8+ hours of riding, we arrived in White River and my feelings about camp may have been partially due to my incredible sore booty and achy legs, but it was so beautiful. 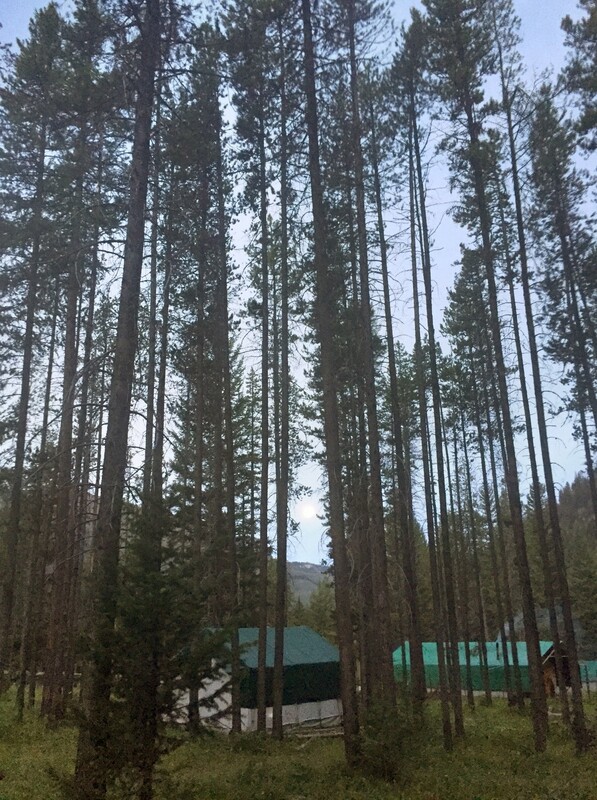 The view from camp at White River. Day two of the trip was spent doing one thing and one thing only: resting our booties. 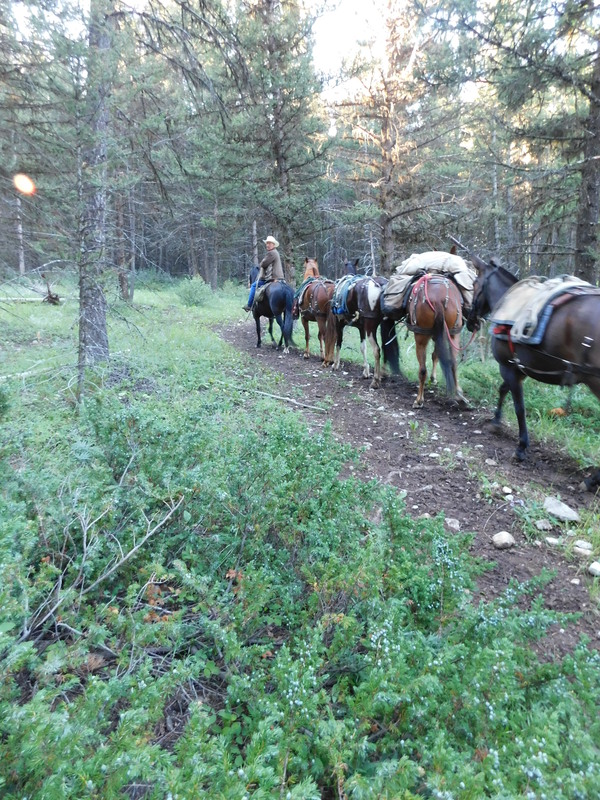 We also wanted to give the horses a day off, since they were the ones who actually hauled our behinds the 24 miles in to camp. Also, I’d like to give a special thanks to my horse, Popeye. He carried me and my cameras into camp like it was no big deal. 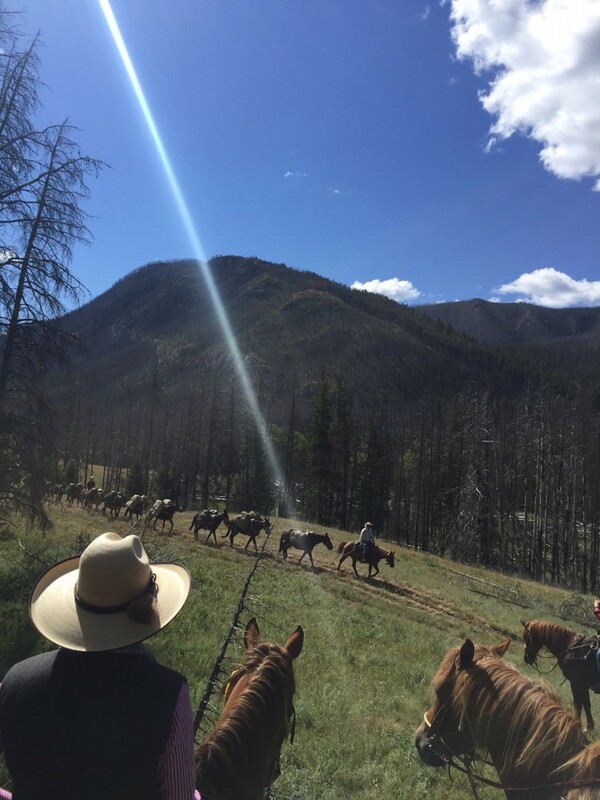 Each night, the horses and mules were put out to pasture and each morning, the wranglers would bring them back to camp. Bob finishing up his morning wrangle. After a full day of rest, day three brought the moment of the trip I was most excited about. 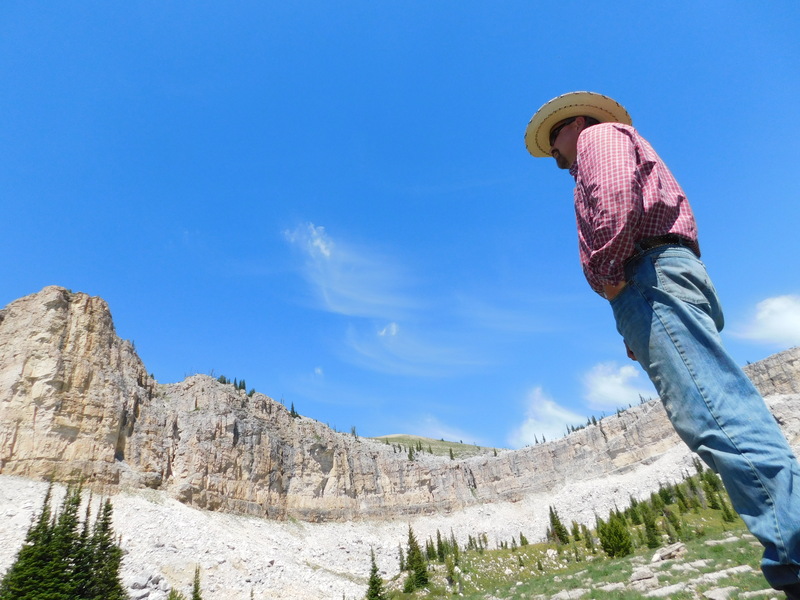 We were going to ride 12 miles from White River to one of the most stunning geological formations in the country: the Chinese Wall. 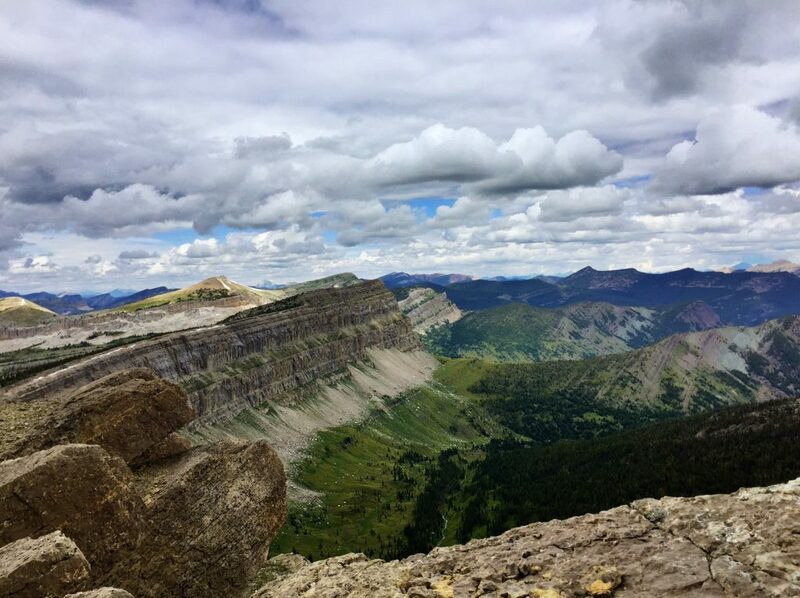 A 22-mile-long rock escarpment, the Chinese Wall reaches heights of 1,000 feet and runs through much of the Bob Marshall Wilderness. Standing here, on top of the wall and looking out over endless mountain ranges, is one of my most special memories. 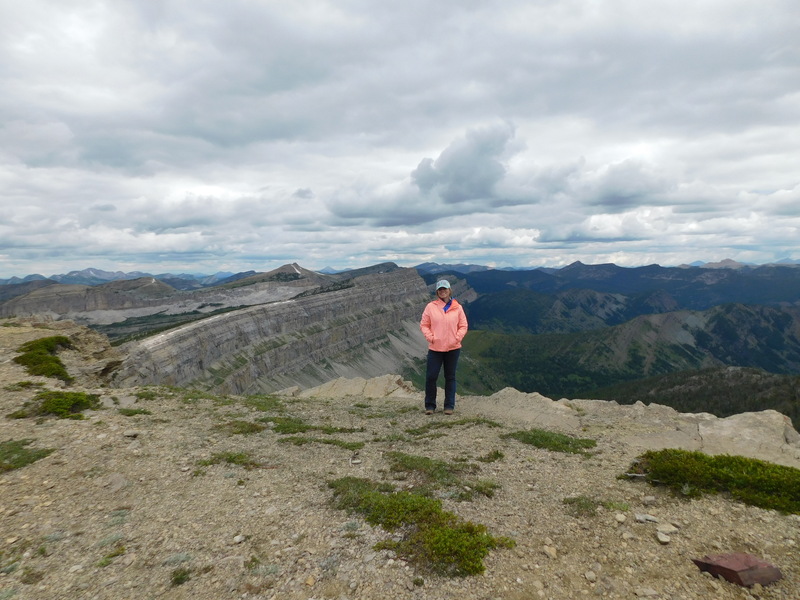 The mountain ranges seem to go on forever. Amy and Tucker, taking in the landscape. 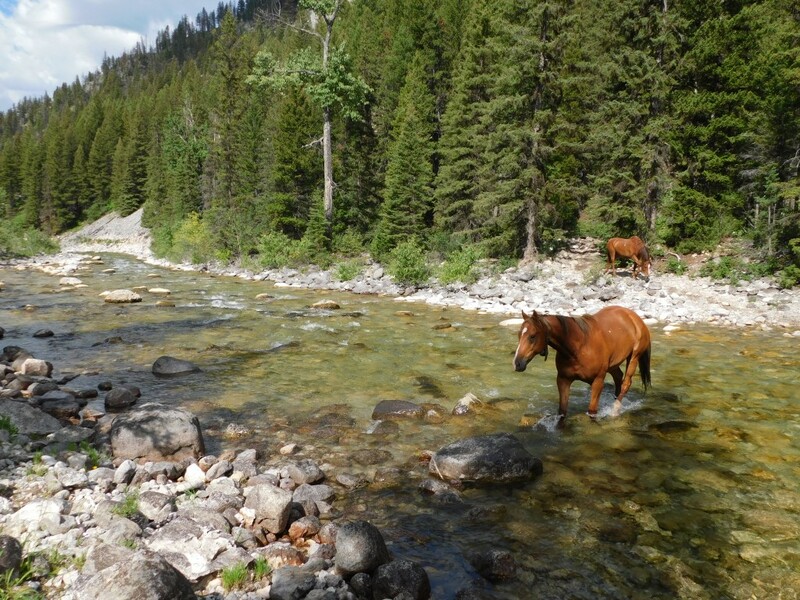 I think this is what they call a #MontanaMoment. White River from Haystack Mountain (the Chinese Wall). 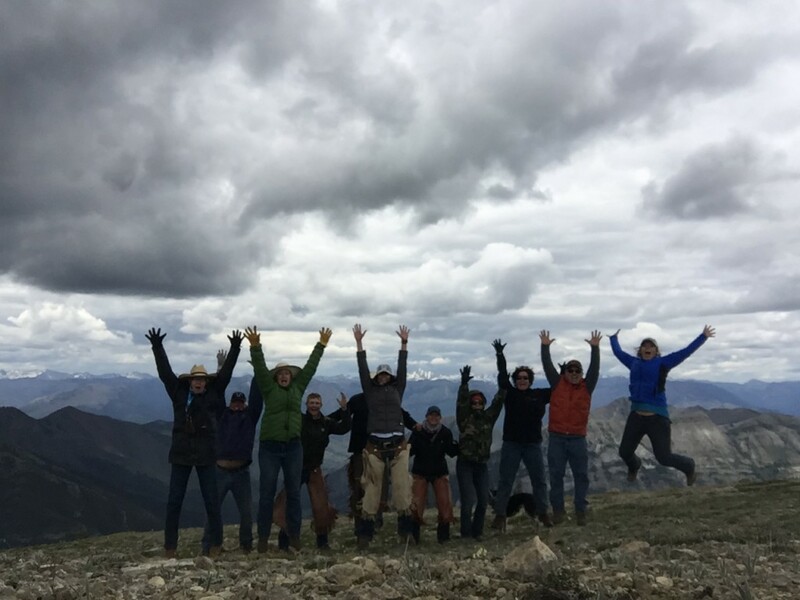 Jumping for joy after spending time on top of the Chinese Wall. And that my friends, is just the beginning. Can’t wait to share parts two and three with you soon! 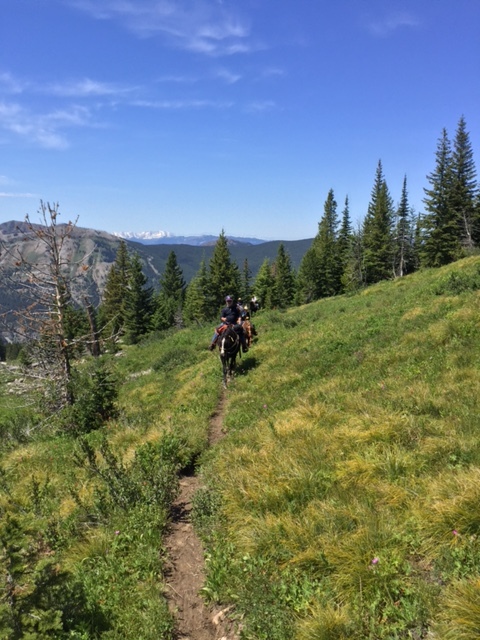 This entry was posted in Summer and tagged Adventure, Bob Marshall Wilderness, Guided pack trips, Guided trips, Montana, Outfitters, Summer on August 24, 2016 by tiatroy. You know those times when you’ve just experienced something amazing that you don’t even know how to start putting the experience into words? Well, that’s me right now at this exact moment as I’m trying to write about my week-long pack trip into the Bob Marshall Wilderness with Mills Wilderness Adventures. And since I don’t currently have the words, for now I thought I’d show you my top 5 photography moments into a place that’s affectionately called “The Bob” by locals. Taking in the view from the south end of the wall. 2. Morning light in White River. Looking at our tents from the cook tent. 3. Wildflowers + Gladiator Mountain. 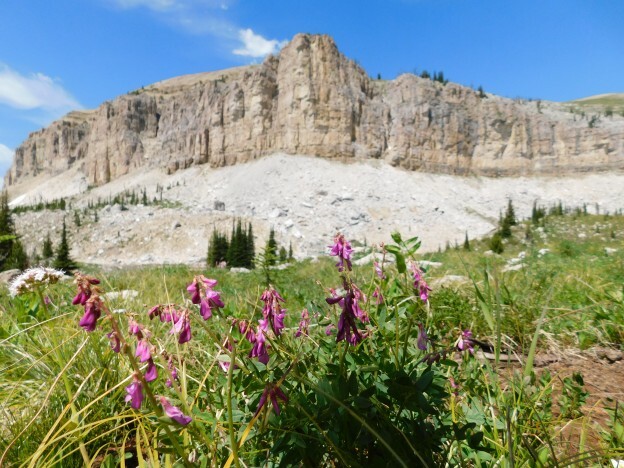 After crossing rocky terrain, this mountain meadow was an incredible surprise. 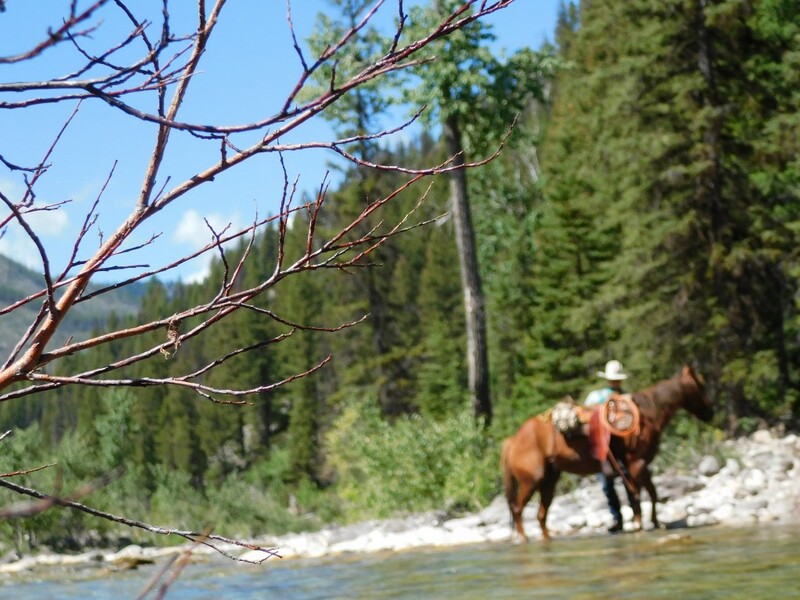 Turk walking his horse down a short path to the river. 5. 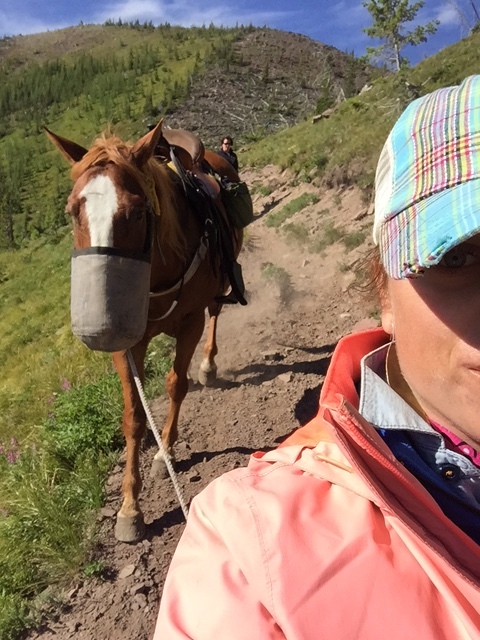 The morning wrangle for horses + mules. 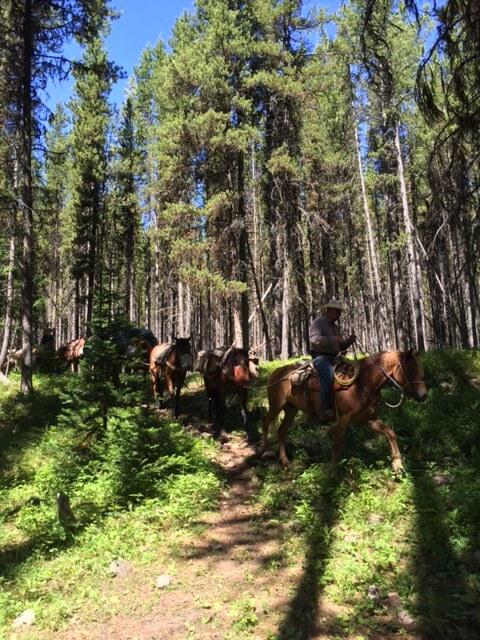 Each morning, a wrangler would go and gather the horses and mules. Can’t wait to share more about the trip! 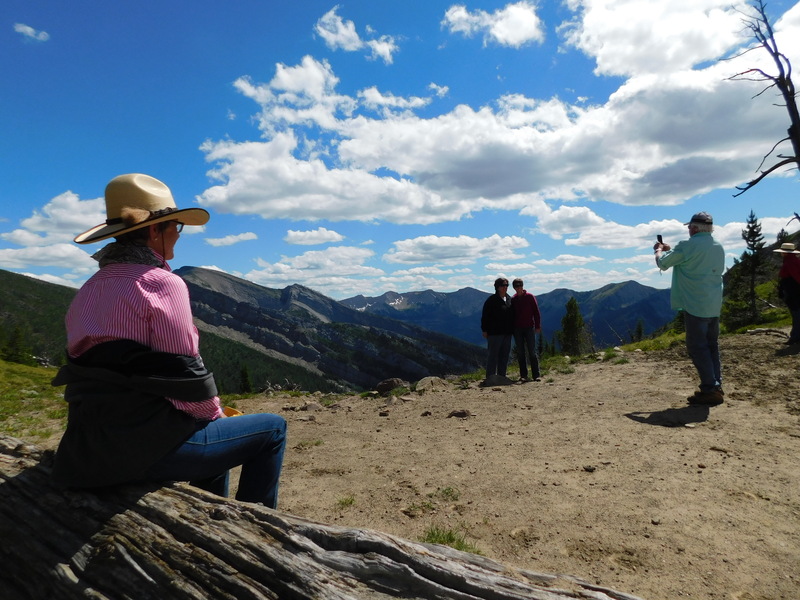 This entry was posted in Montana Fun and tagged Adventure, Bob Marshall Wilderness, Guided pack trips, Montana, Photography, Summer on August 3, 2016 by tiatroy.